As you can tell from the title, I have absolutely no idea on the pronunciation of this one. Even French people would give me different answers, so just pick one and go for it I guess! 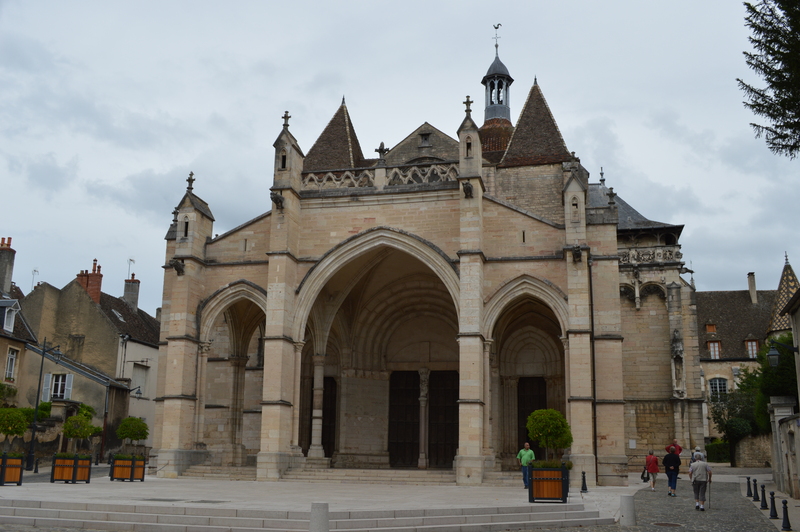 Beaune is a town in the Burgundy wine region, just south of Dijon. 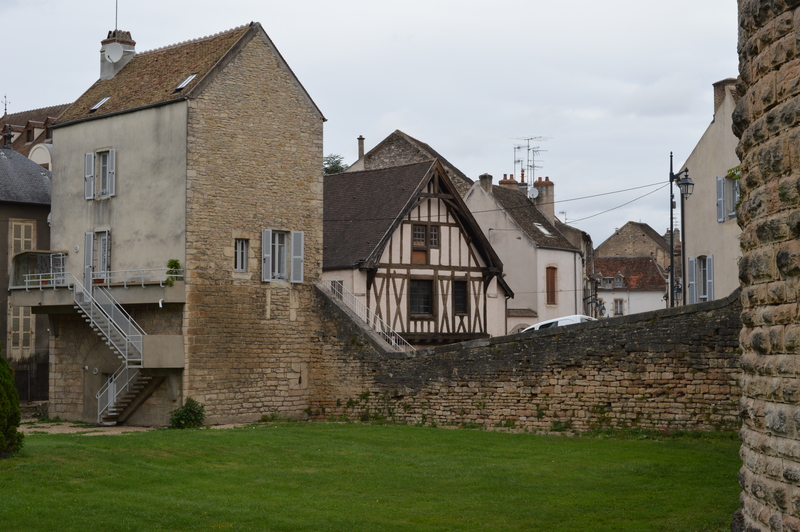 Other than vineyards absolutely everywhere, the very first thing I noticed in Beaune were the foreign cars. Everywhere. It was clear from entering the area, and especially on checking-in at the hotel, that this was a very touristy place. We arrived quite late on the first day, so only briefly headed into the town to get some dinner. 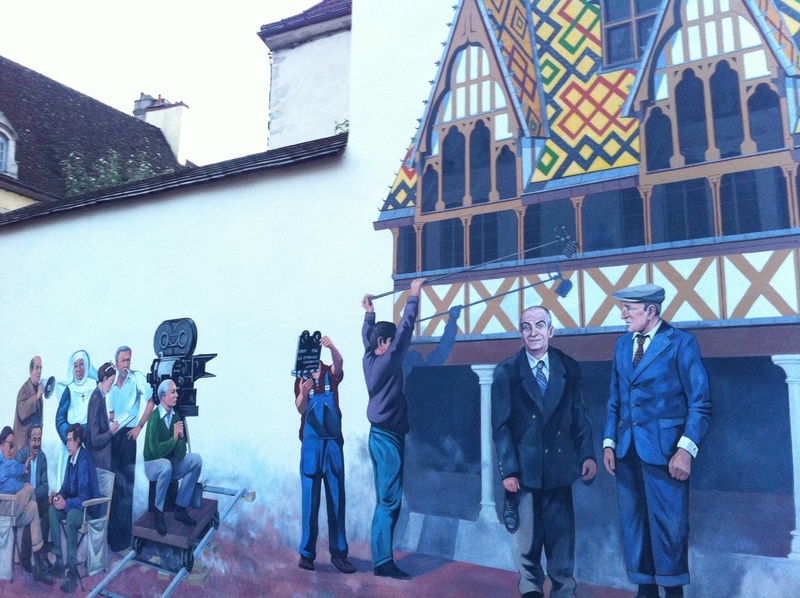 On the way in we came across an art mural, with the recognisable tiles of the Hôtel Dieu. 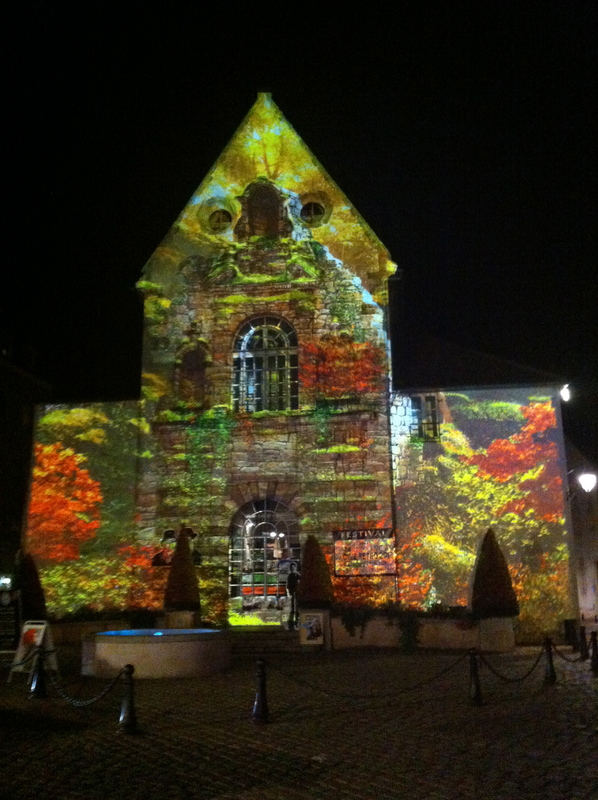 Beaune lights up many of it’s buildings at night, often with videos projected onto the walls. 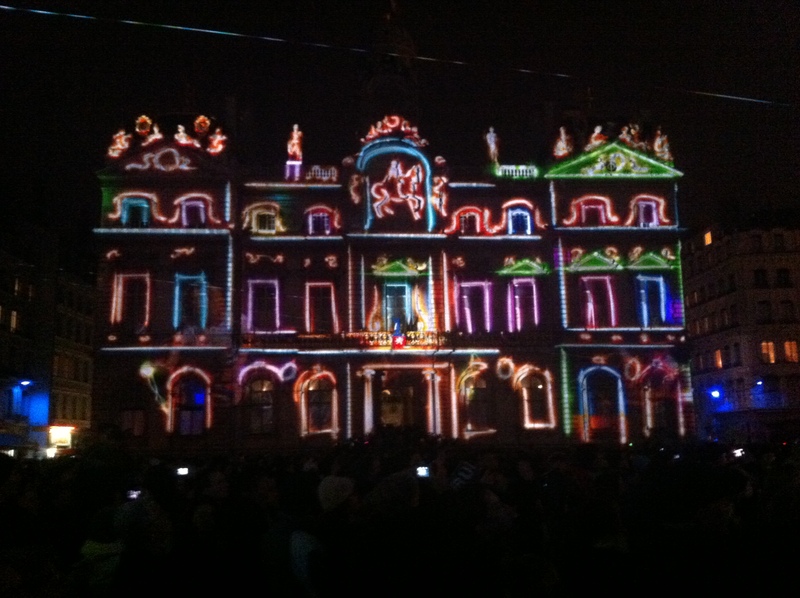 It reminded me a little bit of Lyon’s Fête des Lumières (Festival of lights), only on a smaller scale and a daily basis! 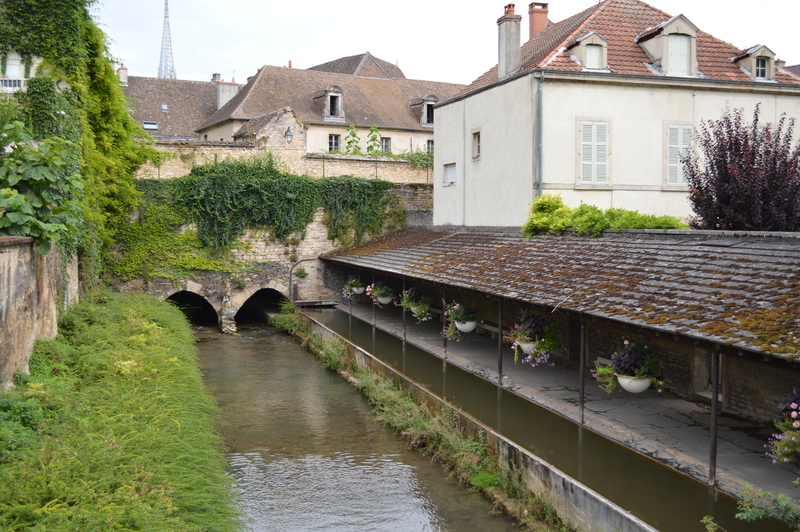 The town is very picturesque, with some very old buildings and beautiful architecture. 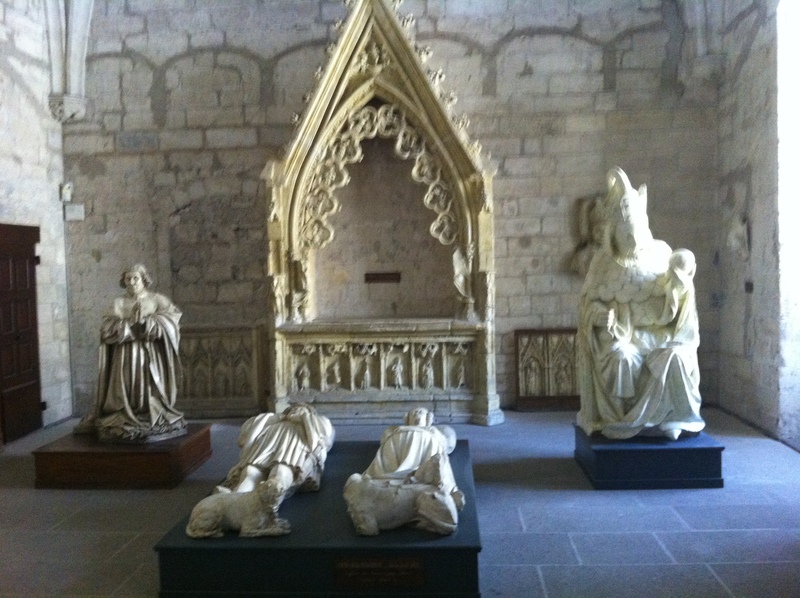 The main tourist attraction is Hôtel Dieu, an old hospital founded in the 1400’s for the poor. 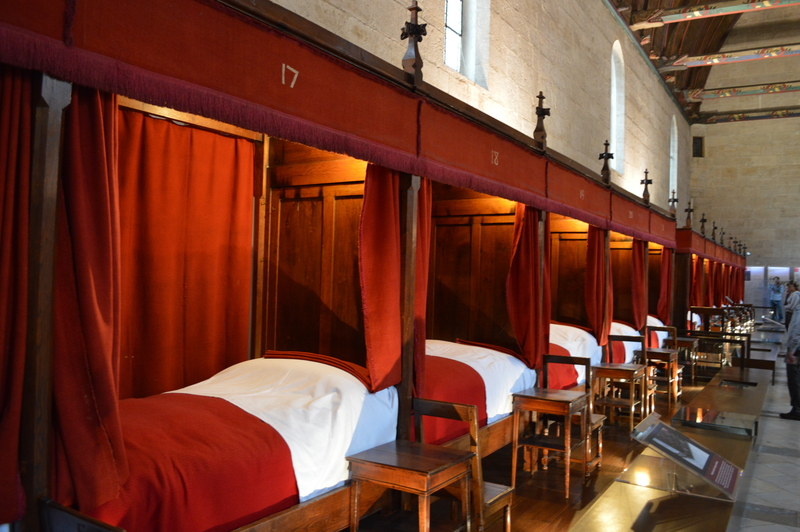 The old hospice is now a museum, remembering the history of everything that happened in the hospice. 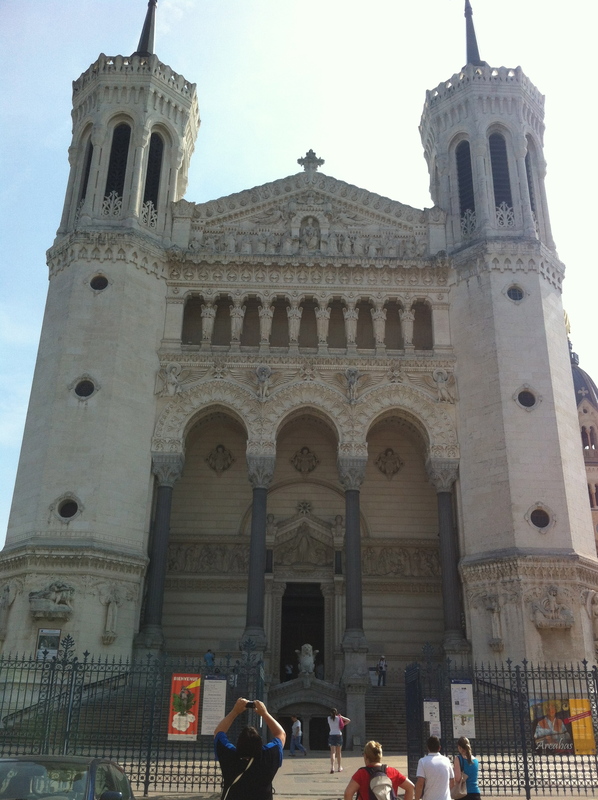 Having a look around the city, we found the main church, a grand building right in the centre of the town. Inside it held a small exhibition with tapis/rugs on display. 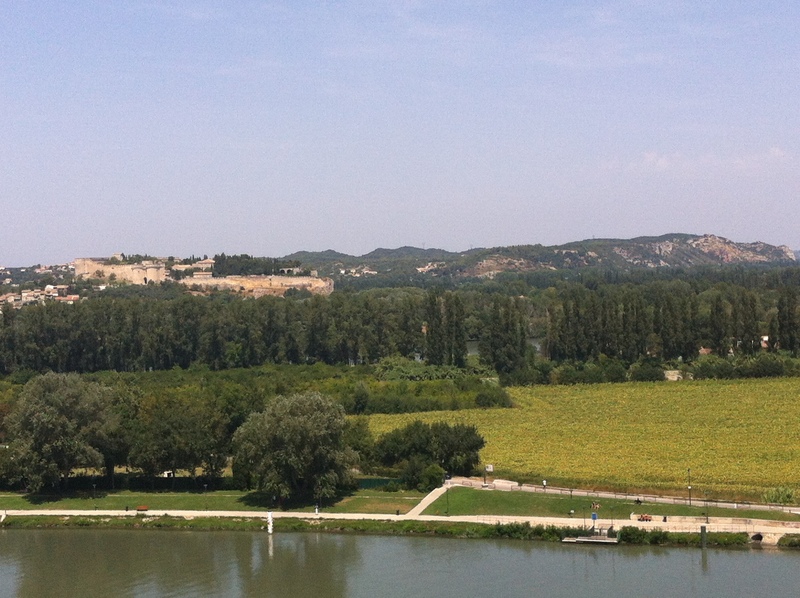 As we were in the heart of the wine region, we of course had to do some wine-tasting. 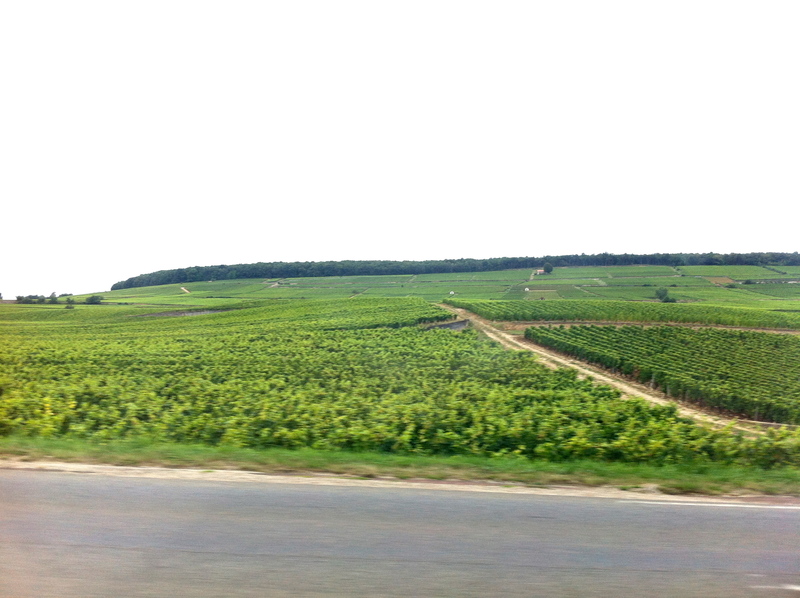 We headed to the Marché au vins to try some wine which was grown in the local villages around Beaune. There were lots of wines to try, with the option of buying at the end. 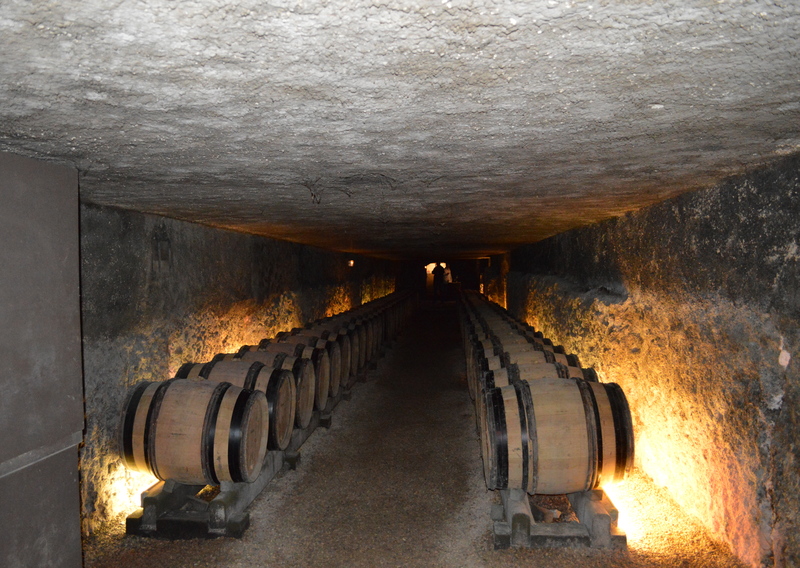 The touristy wine-tasting places like this often charge entrance and are very commercialised. 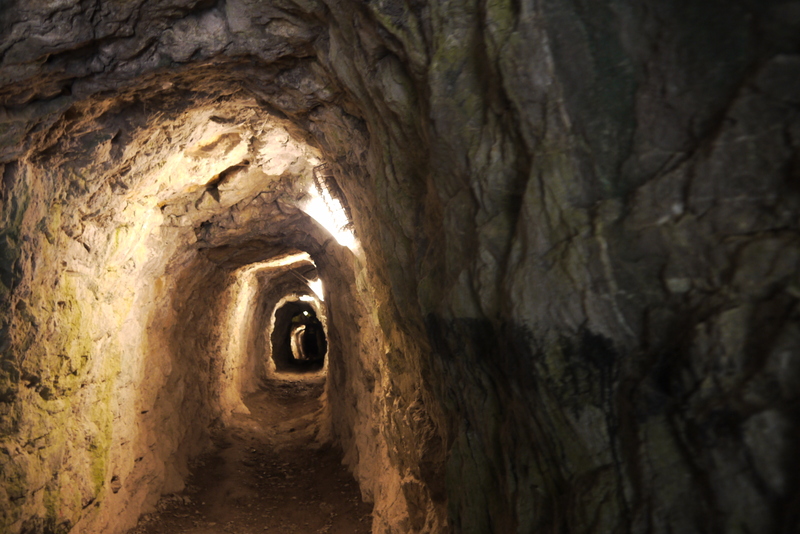 The ‘caves’ that we preferred were out in the countryside, in the small villages. 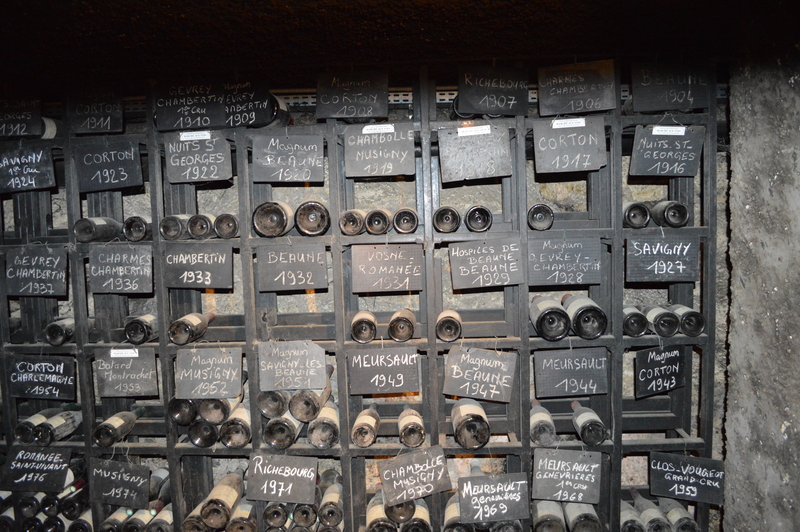 You will get a much more personal service and can try wines which are often right from that village. 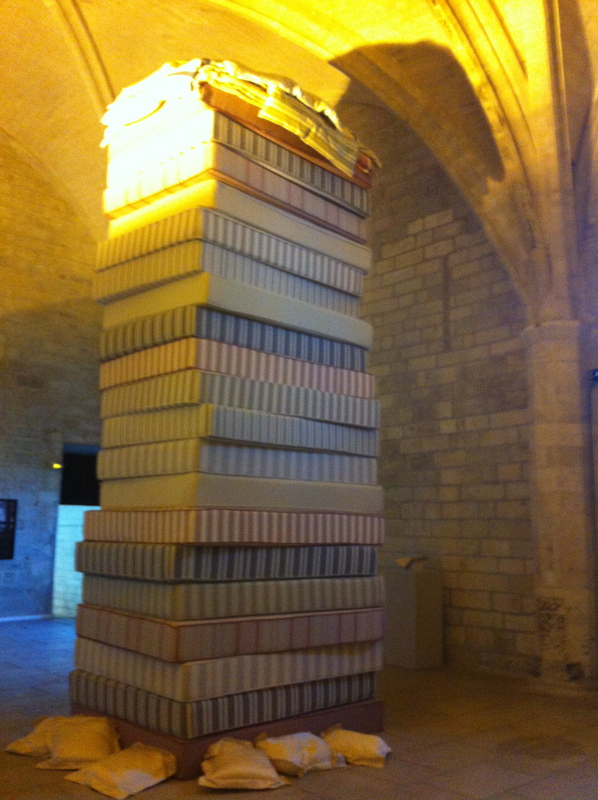 That just about sums up Beaune. 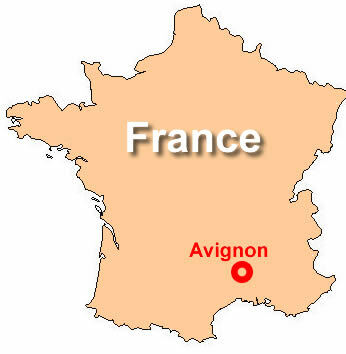 A small town but worth a visit, especially for the wine connoisseurs! 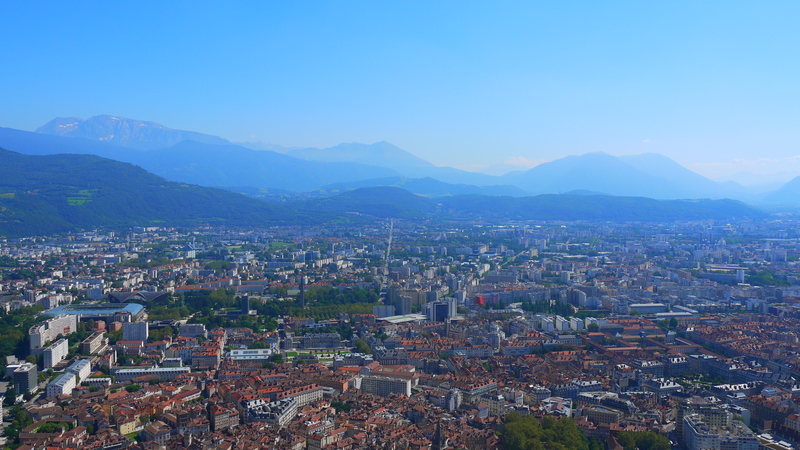 Home to the 1968 Winter Olympic Games, Grenoble is somewhere that must be visited in the winter, right? Wrong. 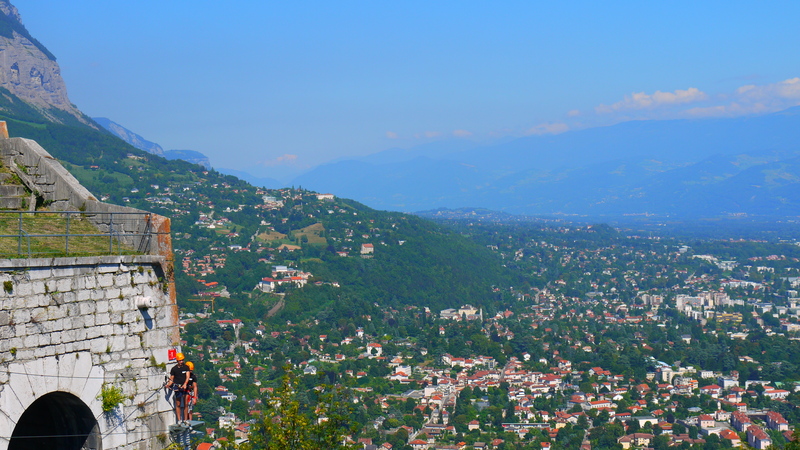 We went to Grenoble on a very hot summers day, and it was fantastic! 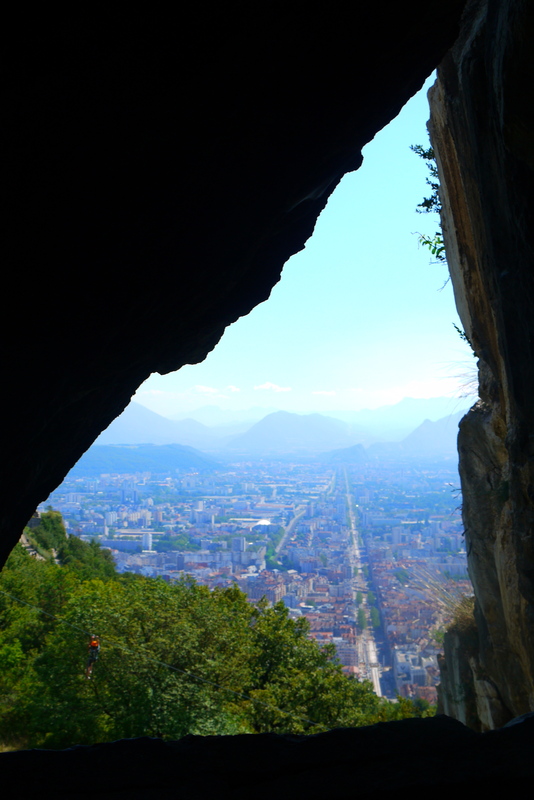 Just an hour and a half away from Lyon by train, Grenoble is referred to as the Capital of the Alps, and it is evident why from the photos below! Arriving at midday, we headed straight to the centre to get lunch. The main square with restaurants and terraces is called Place Grenette. Restaurants were typically quite touristy, but we had a nice big lunch to give us plenty of energy for the exploring ahead. 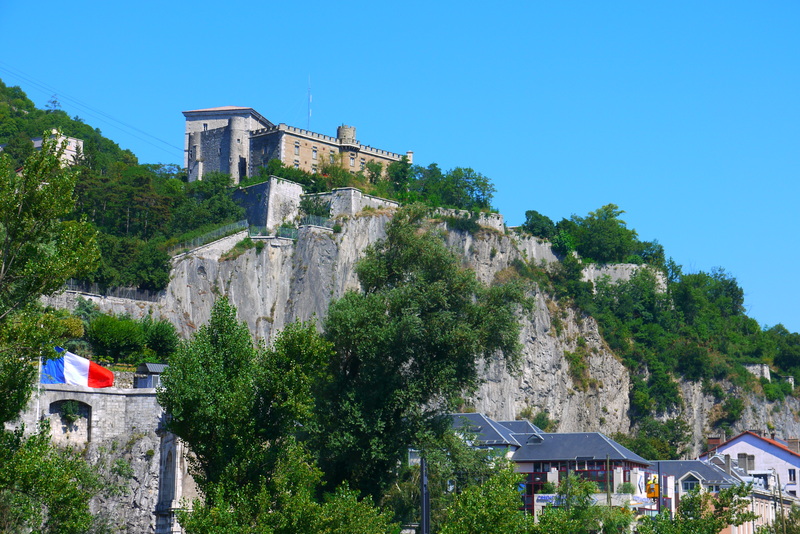 Following lunch, we headed towards the main tourist site of Grenoble: Fort de la Bastille, up a mountain on top of the city. Views at the top of the mountain were spectacular. 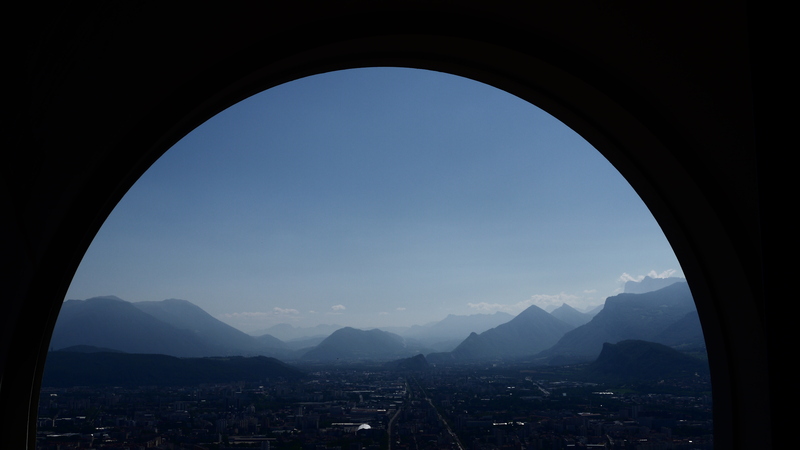 There were several levels of viewing platforms offering panoramic views of the city and the surrounding mountains. 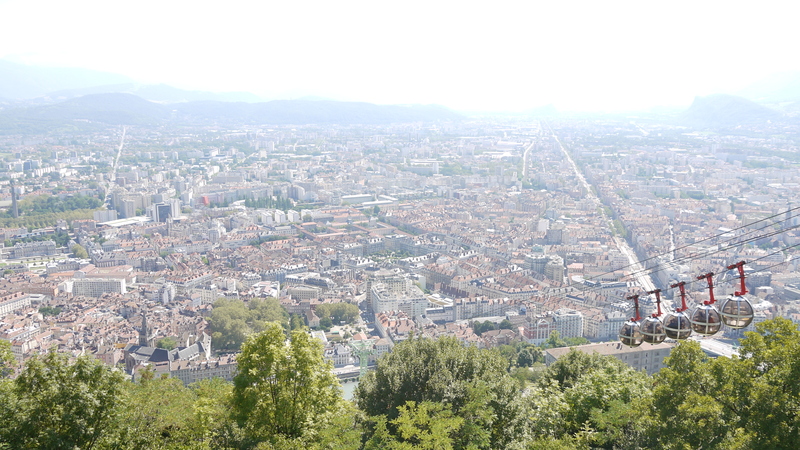 Made it to the top thanks to the cable cars! Even had the chance to get a bit creative with the camera! We were lucky to be there on a very clear day. 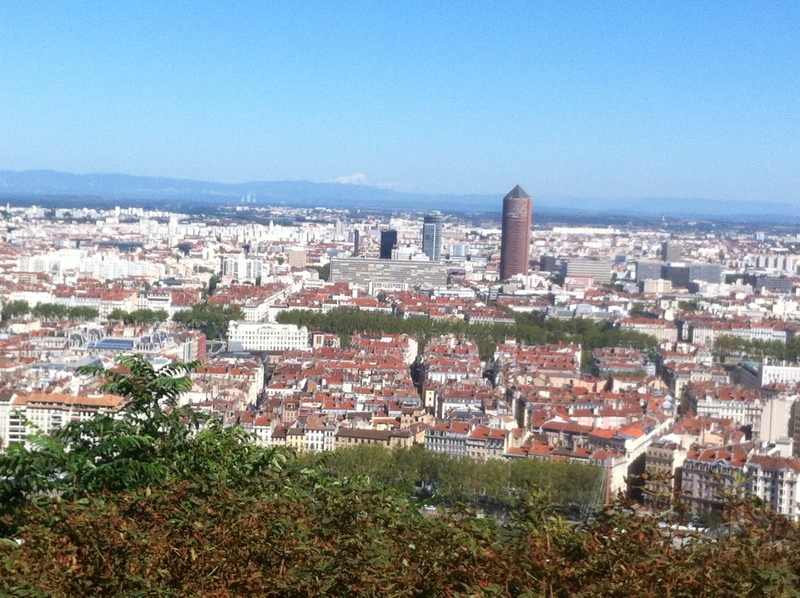 This allowed us to get a glimpse of Mont Blanc, western Europe’s tallest mountain, in the distance. From here we followed signs for ‘the caves’ and were sceptical as to what we would find inside when we got to the entrance. 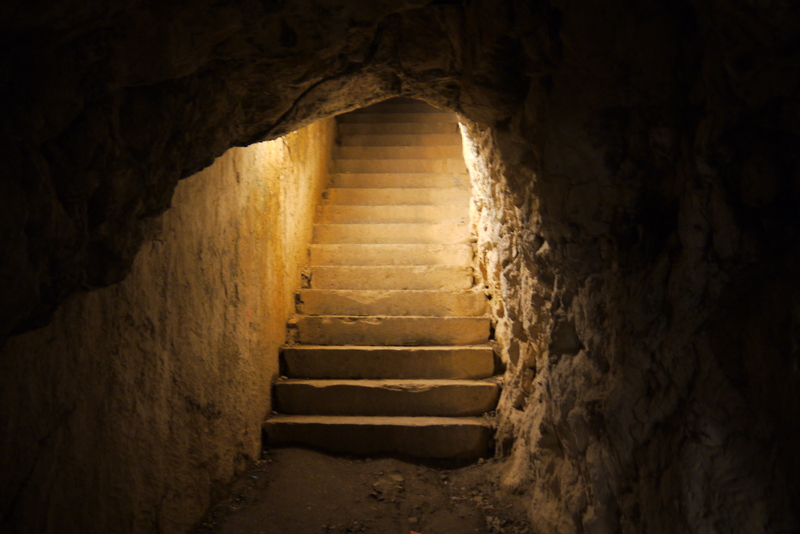 After a few minutes walk we reached some stairs and then eventually an opening. We were met with more fantastic and unique views over the city. 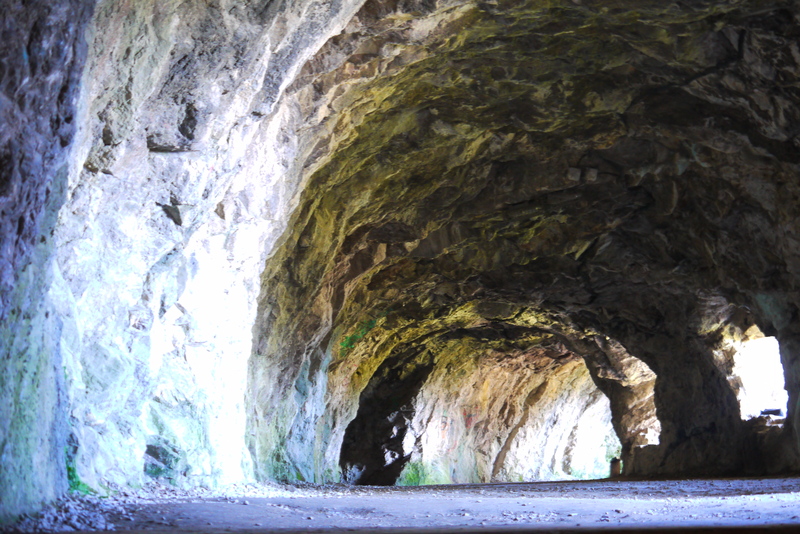 A lot of people that went up to the Fort didn’t continue on to the caves. It was a bit of effort walking up those stairs, but it was well worth it! After this we headed back down to the main city. 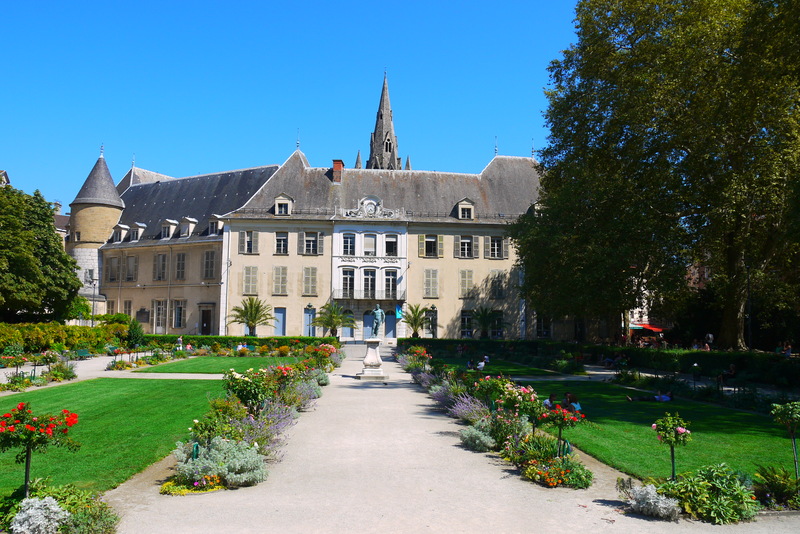 As with a lot of French cities, there are many squares with fountains and gardens, alongside beautiful buildings. 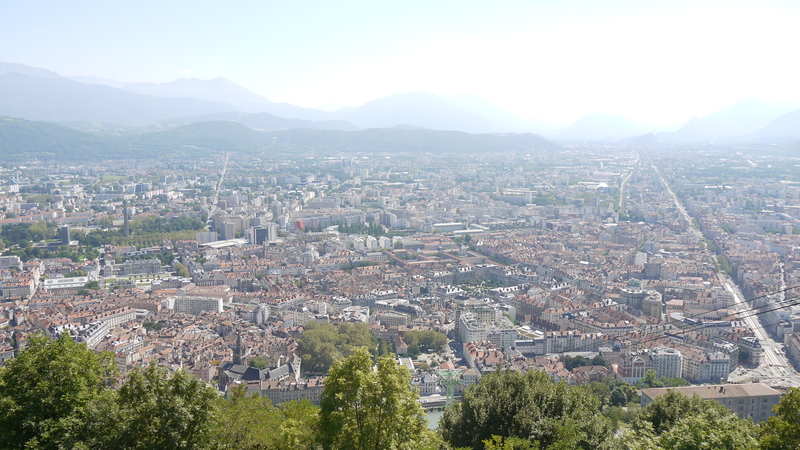 Grenoble is quite a small city, and easily to see all in one day. 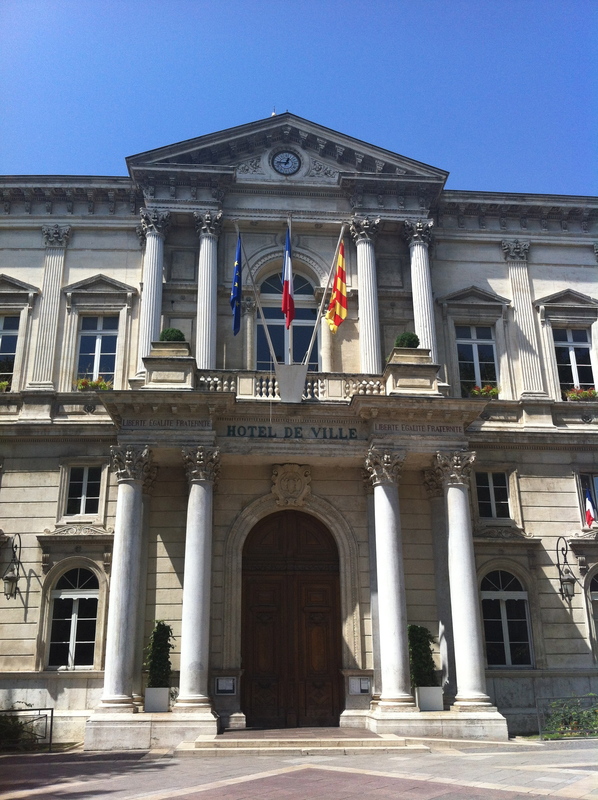 We made the most of walking around the city, seeing the sights and admiring the beautiful French architecture. 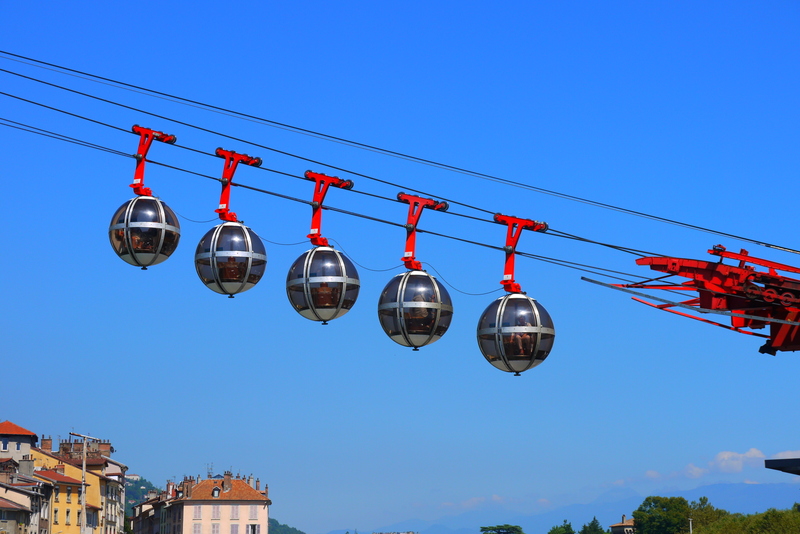 Grenoble was a beautiful city, and despite being very famous for it’s location in and around plenty of ski resorts, it is also great to visit during the summer! 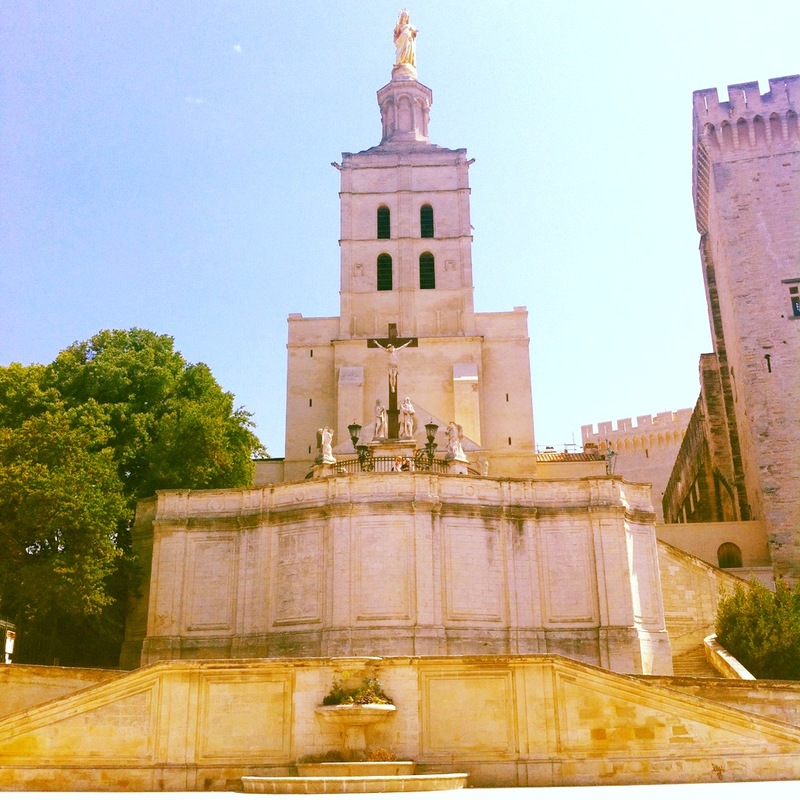 So having been to the touristy Côte d’Azur (St.Tropez, Cannes, Nice, Monaco etc. (blog post about these coming later)) we headed to the non-touristy part for a couple of days: Cassis. 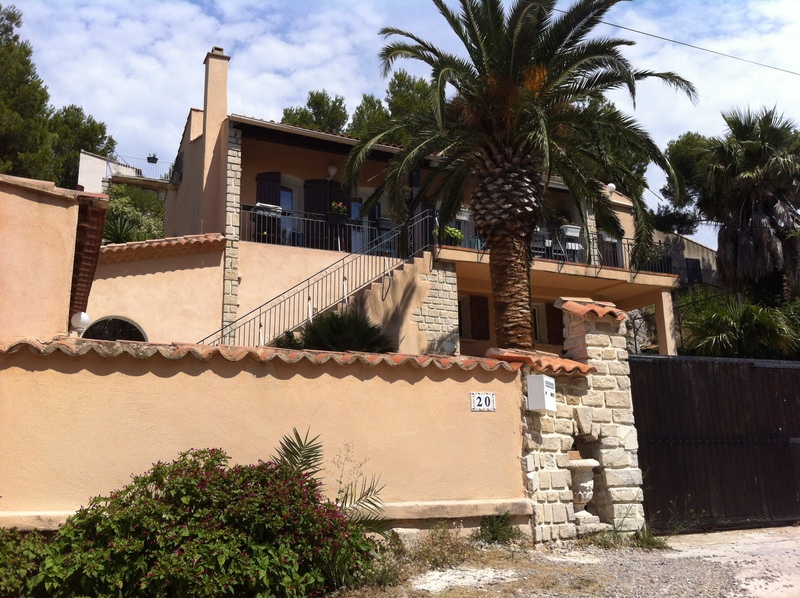 We found a great little apartment to rent in Ensuès-la-Redonne via airbnb, which was just a 5 minute drive or 20 minute walk from the Calanques, which are coves or creeks specific to the Marseille area. 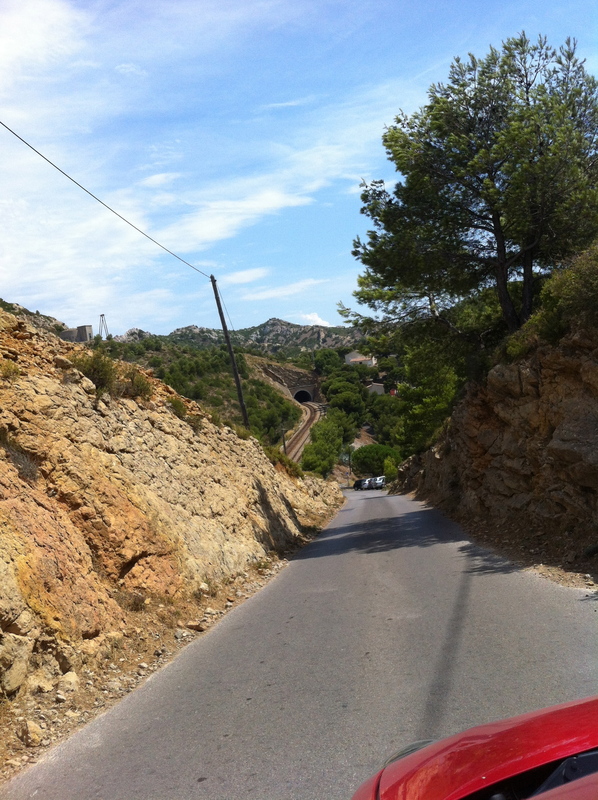 We were driving a little Renault Twingo, which was good for the roads. Anything bigger and we really would have struggled to fit down the tiny little lanes! Cassis is very un-touristy. A great deal of effort has gone in to preserve the area for its natural beauty. It is very difficult for people access. There are a very limited amount of parking spaces, no bars or restaurants, and access to the Calanques by foot is very challenging! The majority of the people that we came across were people from the South of France (recognisable from that strong accent!). We were one of the very few with a non-southern French accent, and I was certainly the only Foreigner! 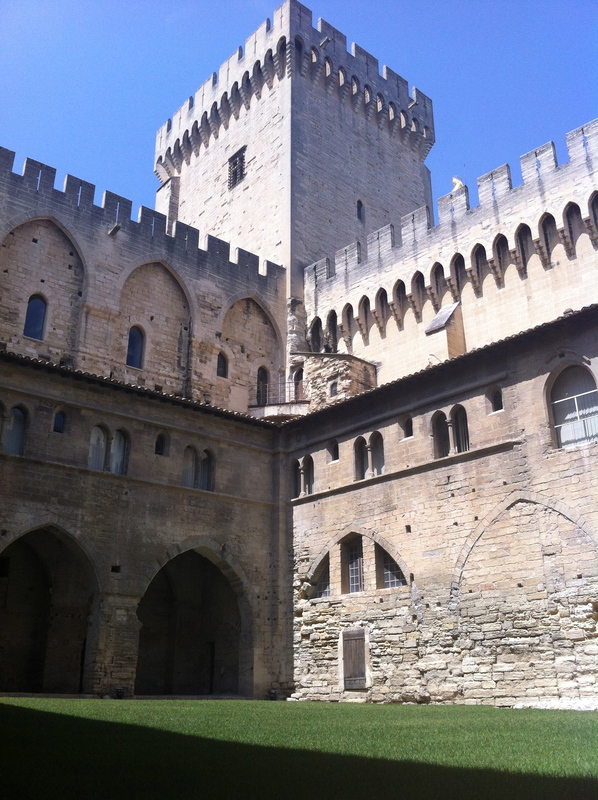 The first day we went to Figuières. The beach we found was perfect: completely secluded, quiet, great views, and brilliant for snorkelling and seeing some big fish! The water was so clear and calm. 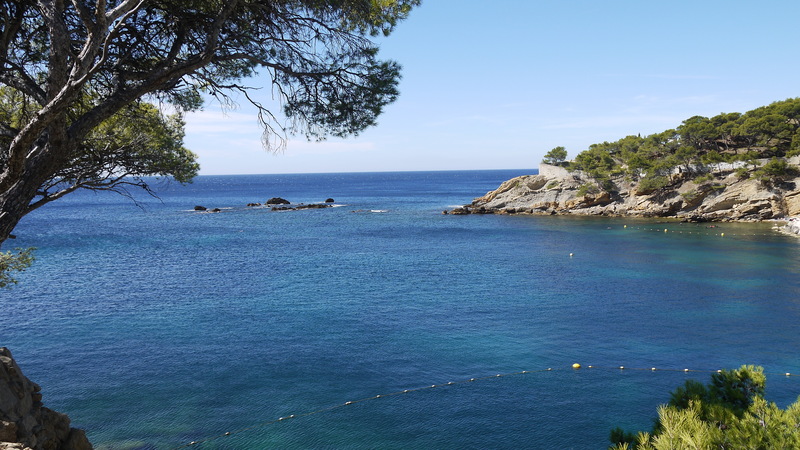 Though it was a bit difficult to get into the sea because of all the jagged rocks, once deep enough it was great for swimming and snorkelling. The second day we went to Mejean. 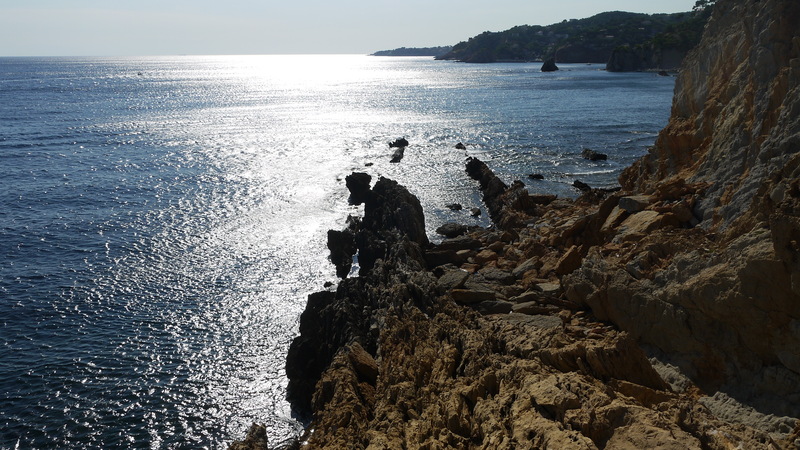 We were met by incredible views over the cliffs, which could have very easily been mistaken for a country like Croatia. It was so quiet. 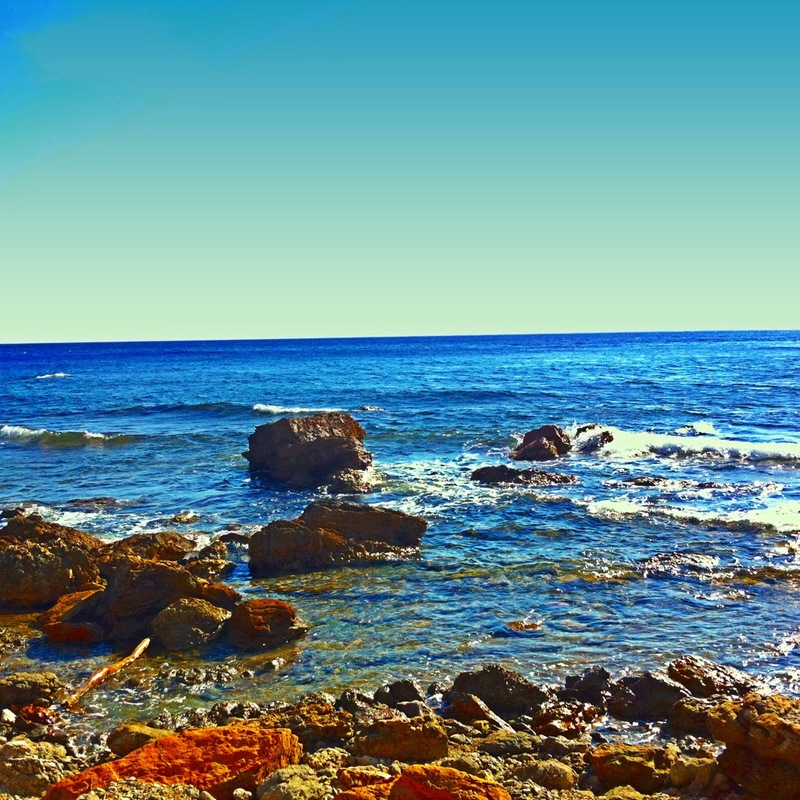 Fantastic for relaxing and sunbathing, and again great for getting the snorkel out and going for a swim. However, as it is very rocky, you have to find the perfect position so you can be comfortable on the rocks! Garance showing that sunbathing on the rocks isn’t always the most comfortable! But it is worth it, it really did feel like we were in paradise! Being on the South coast, we were lucky enough to have the sun from the moment we arrived, right up until the evening. Great for getting tanned enough for my return to England soon! One word to summarise: Paradise. It was a great little break and so relaxing. Great to be on the South coast again but seeing something completely contrasting from the other very touristy areas! 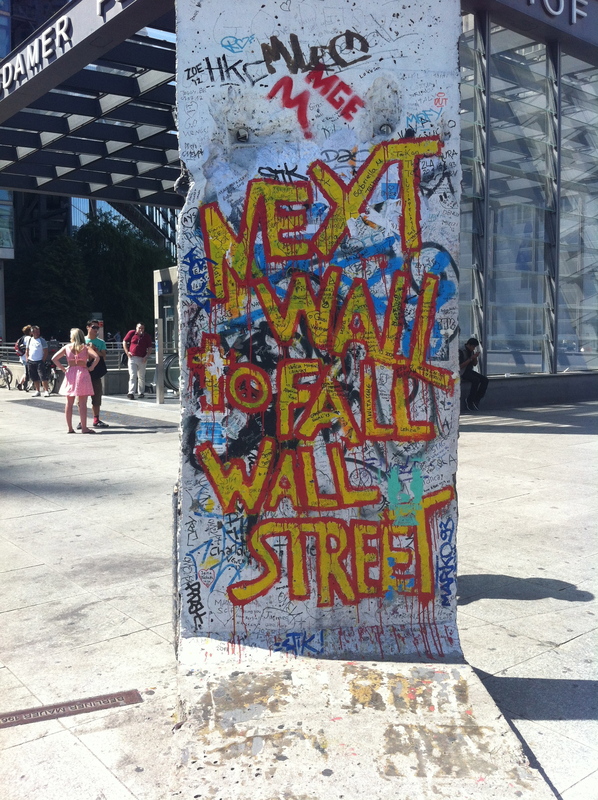 So the 3rd part of my Berlin trip: The Wall. 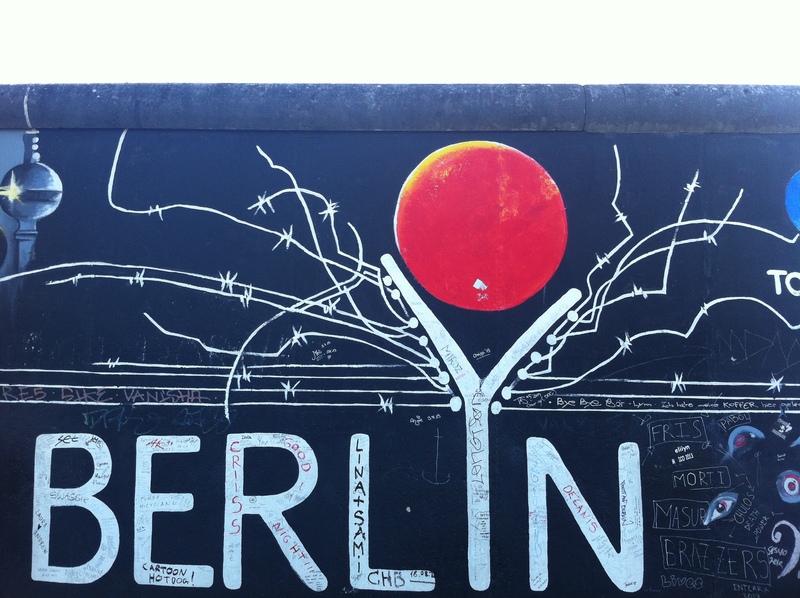 As most people know, Berlin was divided into two parts- East Berlin and West Berlin. A wall separated the two parts of the cities between 1961 up until its fall in 1989. 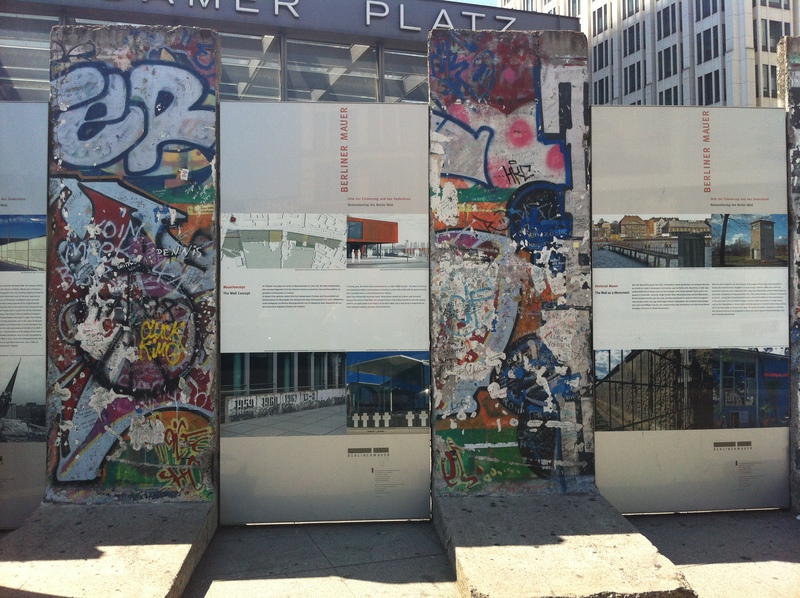 To find out more information and learn about the history of the wall, go to Potsdamer Platz where there are information boards, as well as old parts of the wall on display. 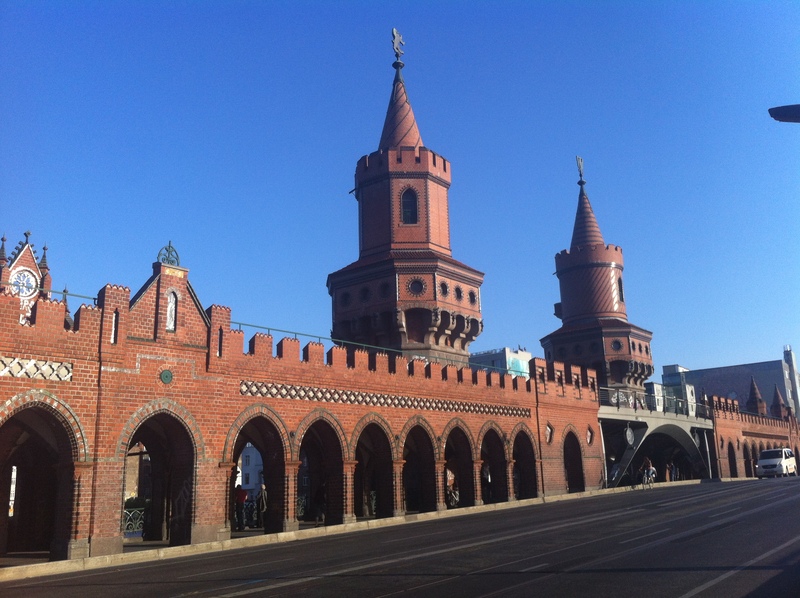 Potsdamer Platz is just a small walk from the Brandenburg gate, so it is worth it! Interestingly, all of the parts of the wall displayed here are covered from head to toe in chewing gum. I didn’t understand the significance and never found out why! Berlin is well known for its graffiti and street art. I think it gives real character to the wall, and makes it more interesting for visitors! 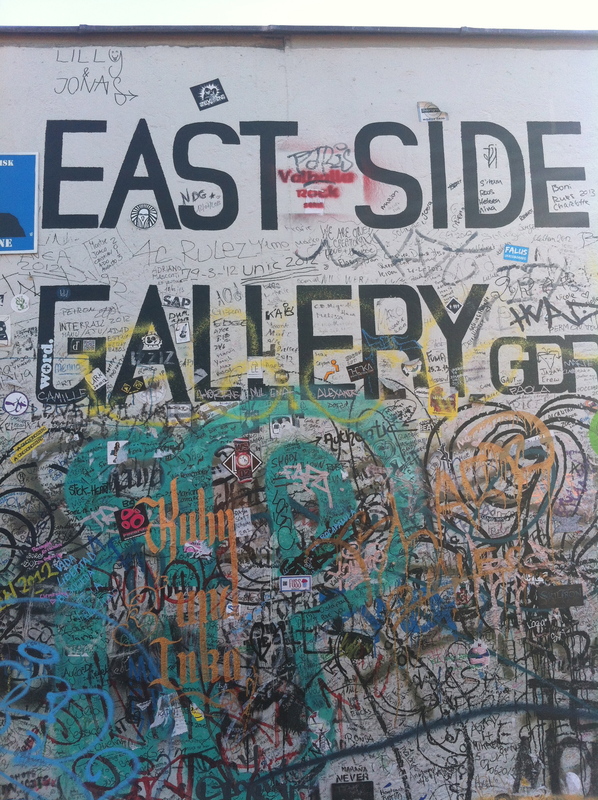 An absolute must: visit the East Side Gallery. It is over a kilometre long, and has paintings on from many artists. Having started in 1990, there are now over 100 paintings on it. There is a lot of graffiti on the wall, often covering up the paintings. It has ruined many paintings, but, as I mentioned before, does add to the character of the wall. The East side gallery is situated in the East of Berlin, on the Warshauer Straße metro stop (u-bahn and s-bahn). 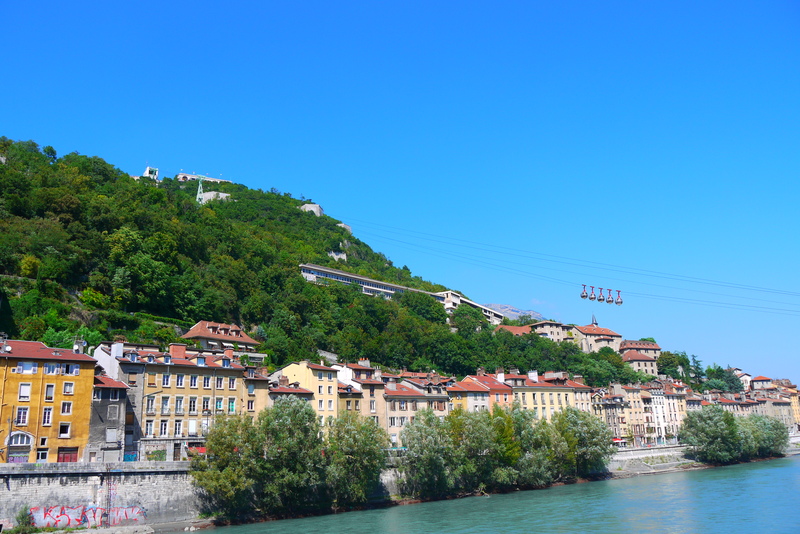 It is situated along the river, with lots of cool bars. So make the most of it if you head over there! The Oberbaum bridge is also right next to it, to conveniently fit in another Berlin landmark! 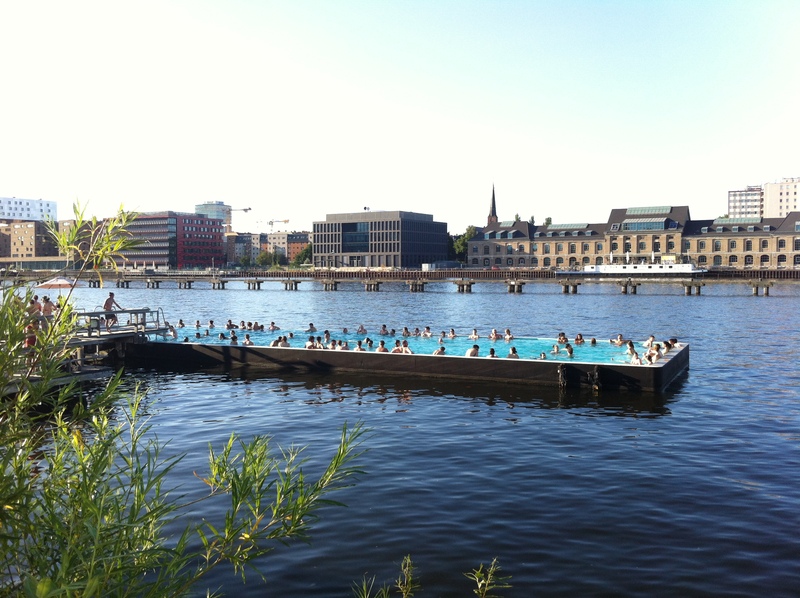 And if you can spare a little bit more time, particularly in the summer, Badeschiff Arena is a great concept- incorporating a beach, bar, pool and club all in one place. 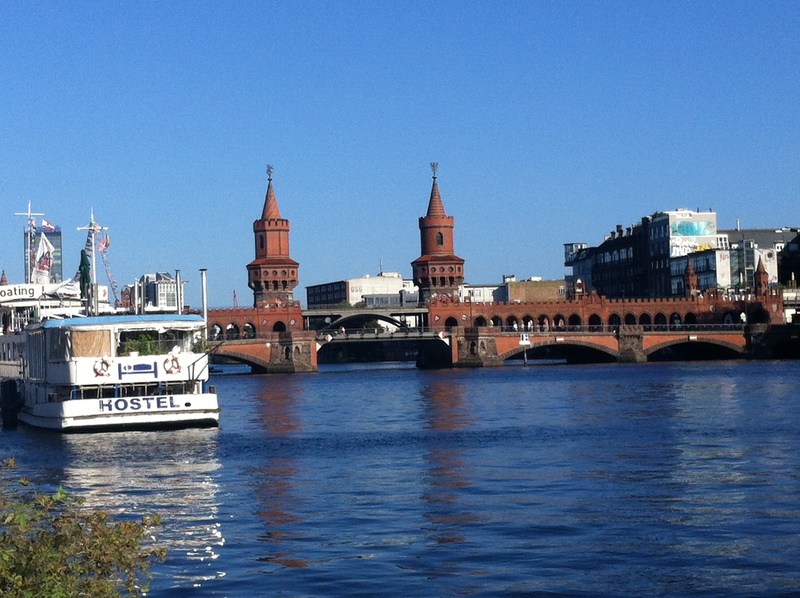 It is a short walk from the East Side Gallery, and well worth it! That just about caps off Berlin- a truly magnificent city! Packing Berlin into 4 days was a challenge, especially when we had planned a day trip out to a Schloss- which is a castle or a Palace. Perhaps it was just my ignorance, but I hadn’t expected quite so many beautiful and grand buildings when I first imagined Berlin. There are so many, in close proximity to the city centre, and further out. As written about in a previous post- we visited the Presidents Palace. 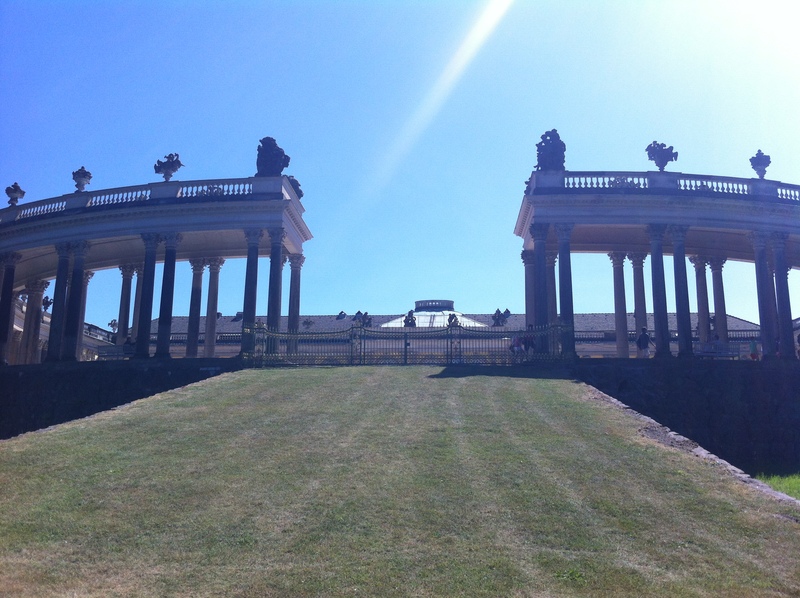 The building was huge, set in some beautiful gardens where people could picnic and relax. Whilst it wasn’t possible to enter, it provided a great background for a little relaxation time. It is situated in the city centre, in Tiergarten park. 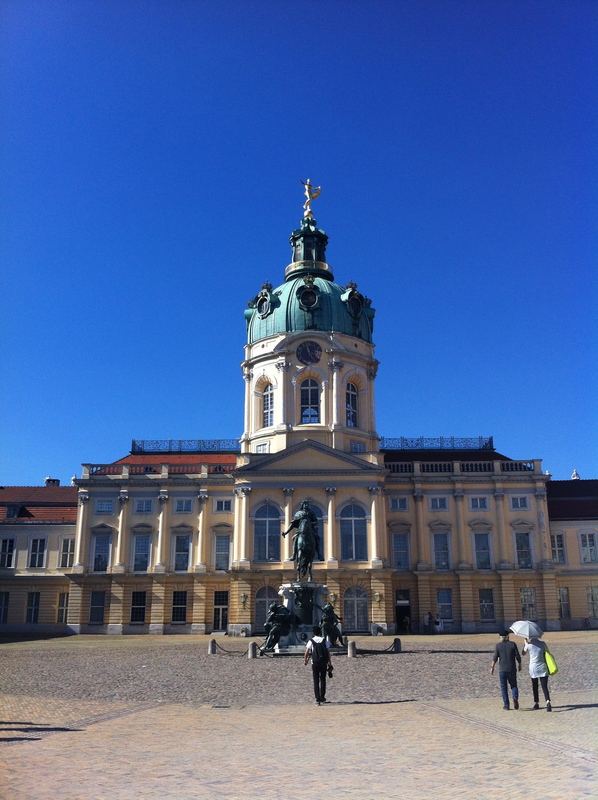 The next castle we visited was Charlottenburg. 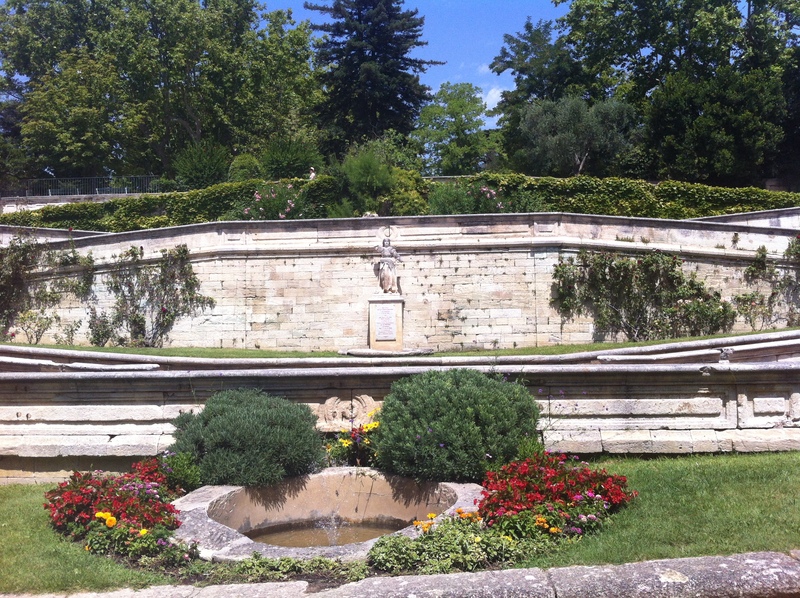 We had seen photos, and it has amazing gardens. 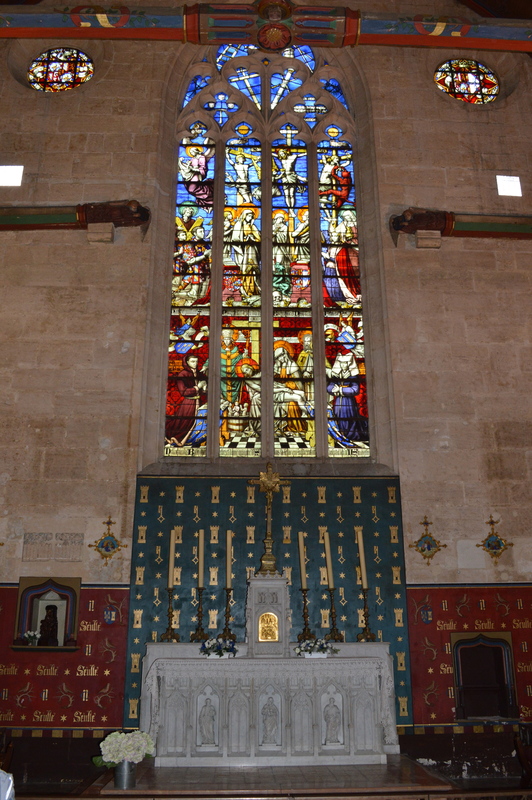 It is also in the city centre, so easily accessible by public transport. The downside of Charlottenburg was the cost. We had to weigh up whether it would be worth it to go in. We had planned other things to do on this day, so to pay 10€ entry and not make the most of it seemed pointless. It was still nice to see the exterior. There was also an outdoor market with a live concert right next to it, which apparently goes on a lot. This provided a great atmosphere around the area! 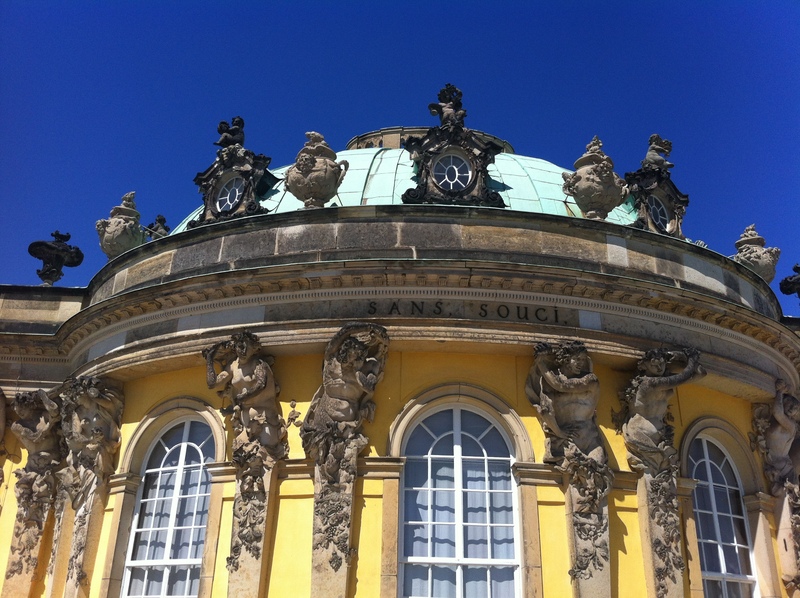 The main palace we had planned to visit was called Schloss Sans Souci. 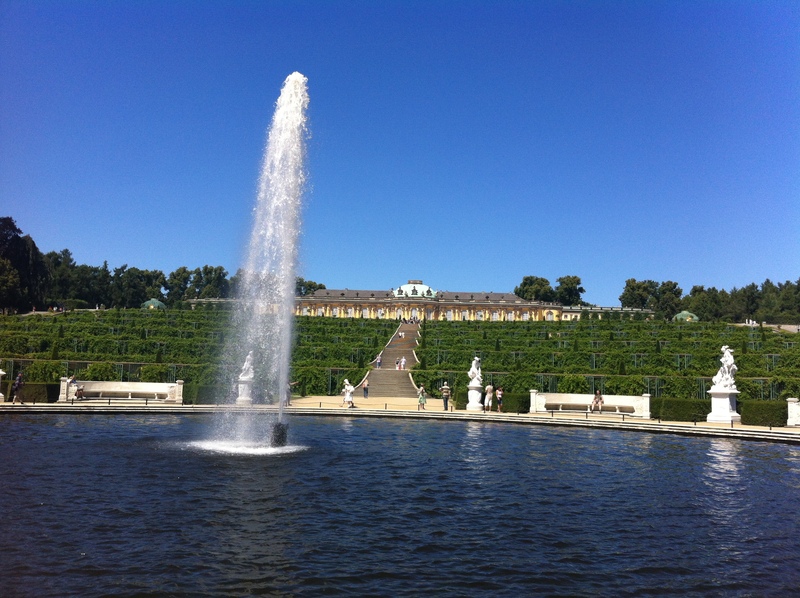 It is in the South East of the city in a place called Potsdam, and took us around 1 hour to travel to from the centre of Berlin using public transport (metro then bus). We were lucky enough to be there in a clear and very hot day, which I find always makes scenery look even more impressive. 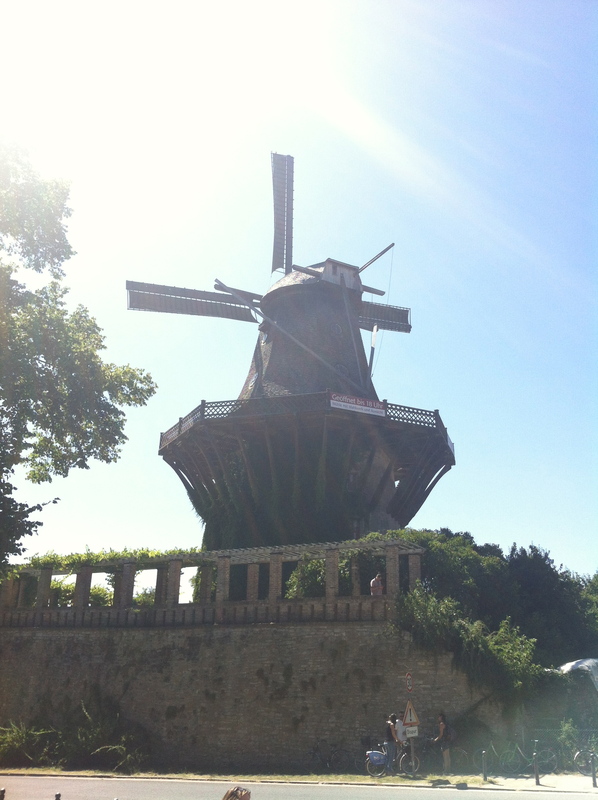 We were welcomed by a large windmill coming into the area. Large columns arranged into a semi-circle welcomed us into the palace. 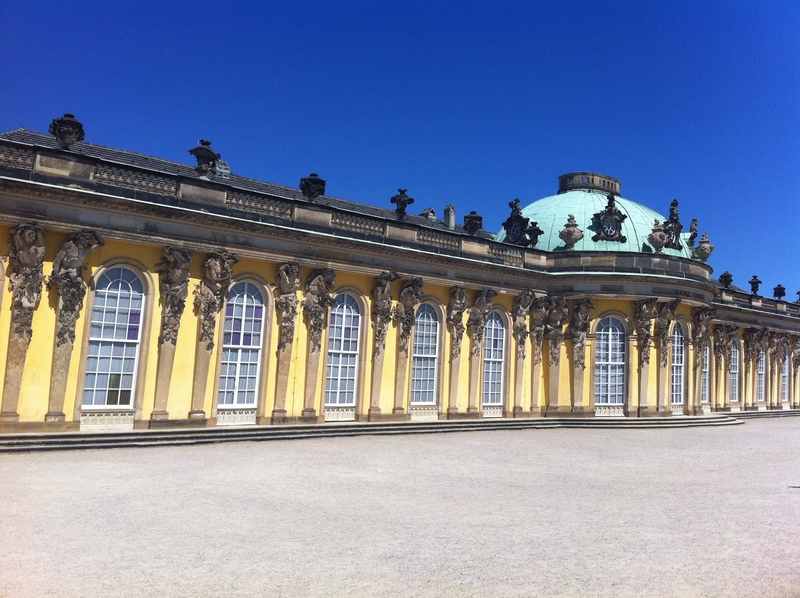 The palace was built in 1745 for Frederick The Great- King of Prussia. First impressions on the building were fantastic. It was so clean and well-kept. 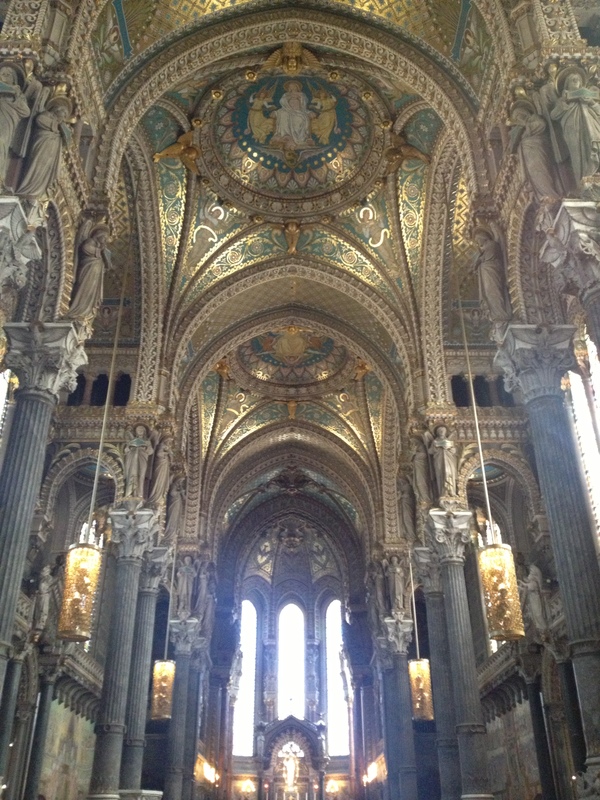 The architecture was amazing, considering how old the building was! The detailing on the palace was impeccable, the many sculptures were incredibly well done. The gardens were really something special. 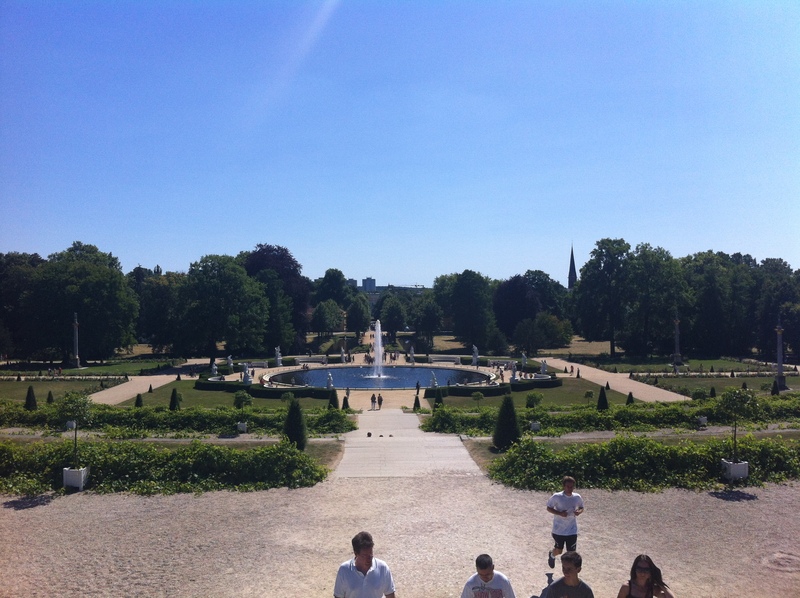 There was a great view looking down from the palace over the fountain and the gardens beyond. The steps up to the palace from the fountain added to the grandeur of the entire place. 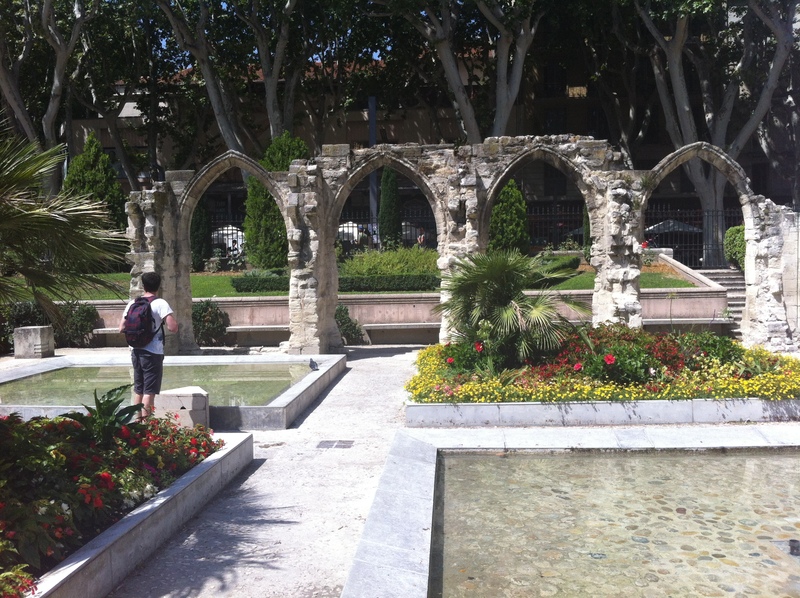 We continued to explore the gardens, which many people seemed to miss out on. 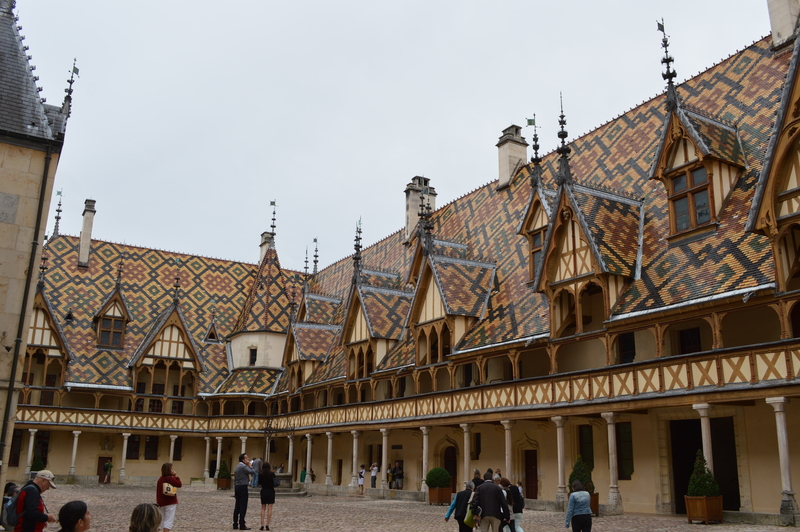 We are glad we did as we came across many smaller but still very grand buildings. 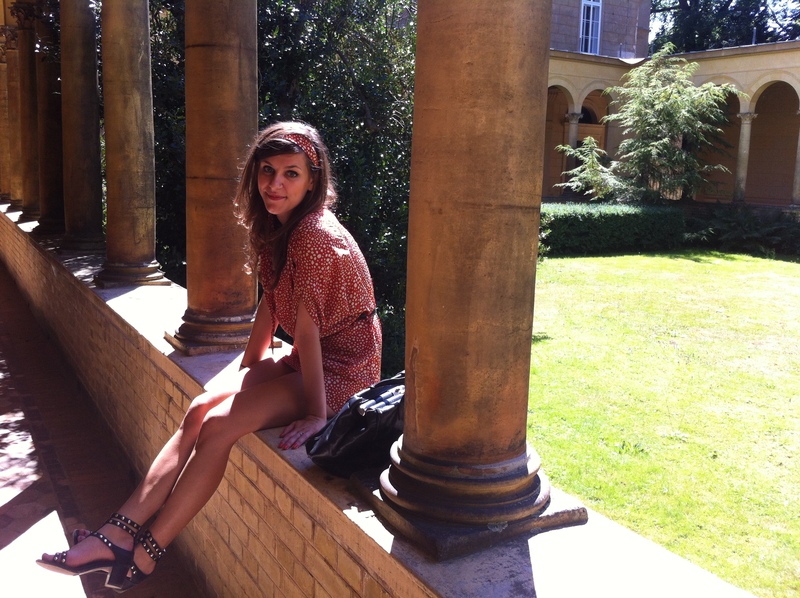 Whilst we did, we took some photos for Garance’s fashion blog. There was a possibility to visit inside, but we decided against it, and just to make the most of the beautiful weather outside. 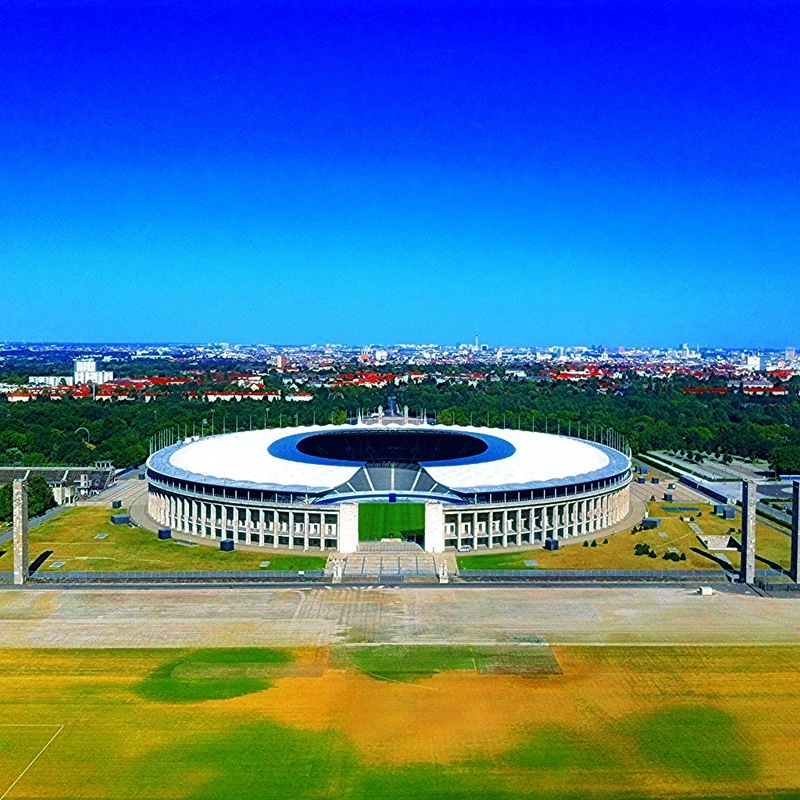 So there we have it, the beautiful Palaces of Berlin. 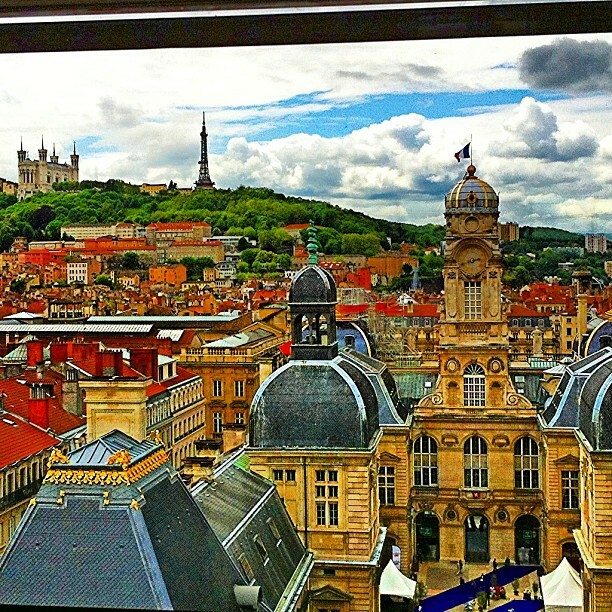 Do not miss out on them if you come to visit this magnificent city! 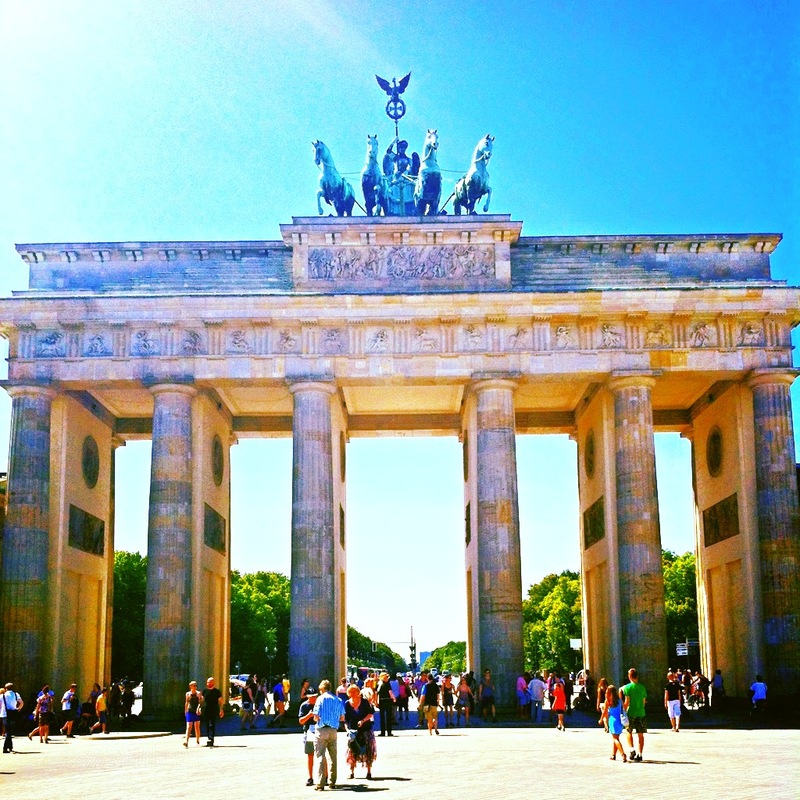 How could I write a post about Berlin and not start with this famous speech?! 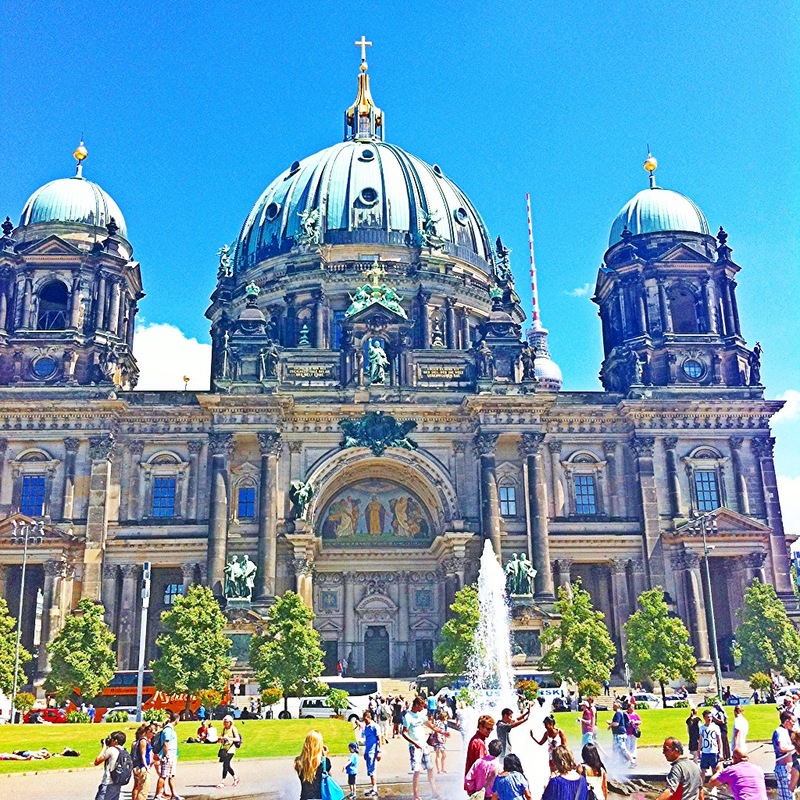 Berlin is in the east of Germany, and with so much modern history to its name, I would recommend doing a little reading up about the city before you visit, as I did! So I took a little trip to Berlin in the summer. 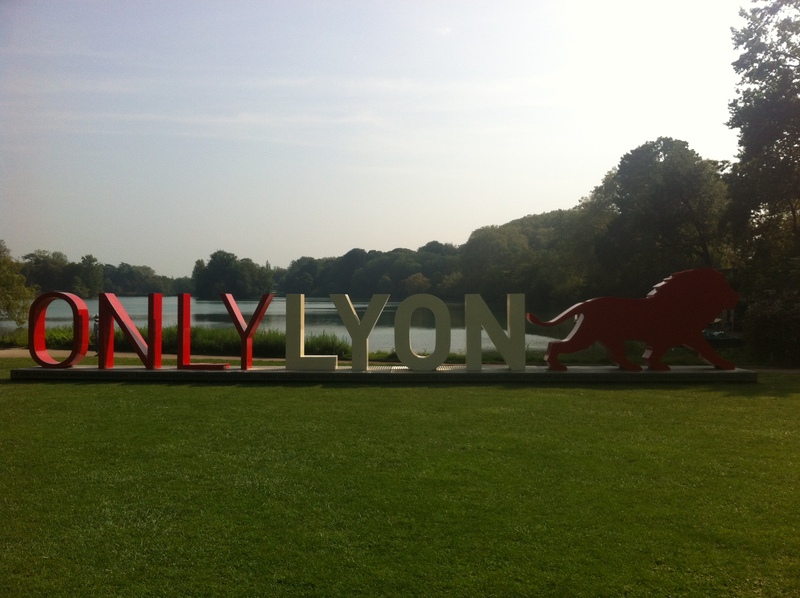 I took the TGV from Lyon to Paris, then flew with Air Berlin. I’ve got to say, I was very impressed with Air Berlin- a free snack and soft drink, and I even got to watch the Looney Tunes (it seems rare nowadays to have TV’s on such short flights!). Something that hit me immediately- the prices of everything- so cheap! Arriving in Berlin was a bit of a shock: 2,40€ from Tegel Airport to the city centre via public transport. Drinks in bars were incredibly cheap- 2€ for a pint of beer. We ate out for less than 10€ every night. It was great! 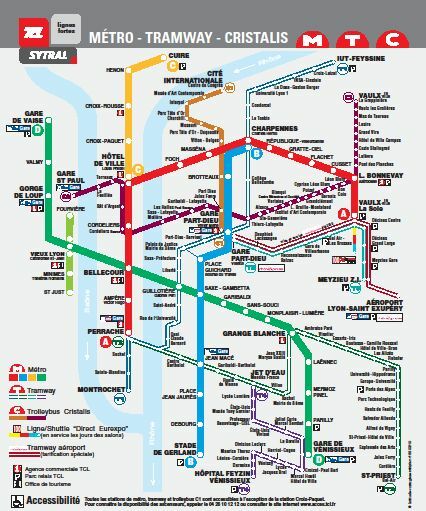 So packing a huge city like Berlin into a 4 day trip- is it possible? Most certainly. 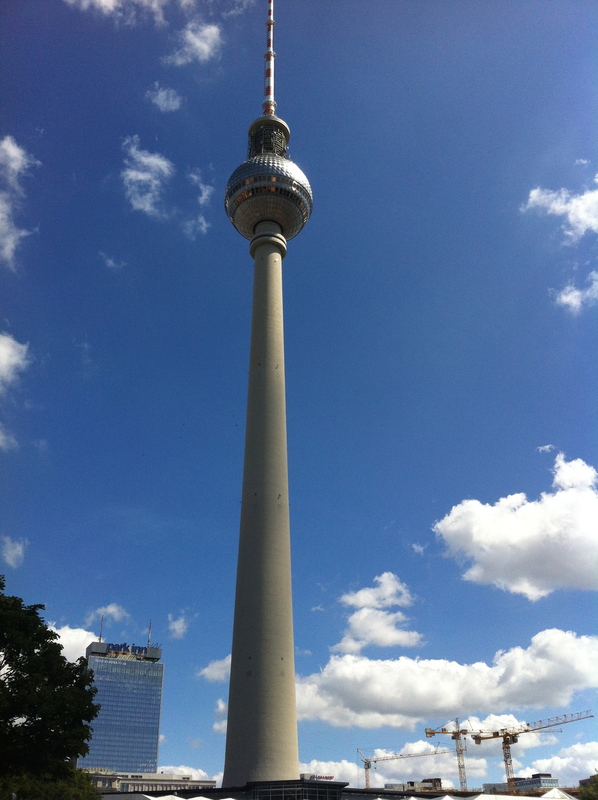 Although the transport system in Berlin is very good and efficient, I decided to make the most of the sunshine, put my trainers on, and walk around the city to see all of the monuments. Starting point: Alexander-platz. 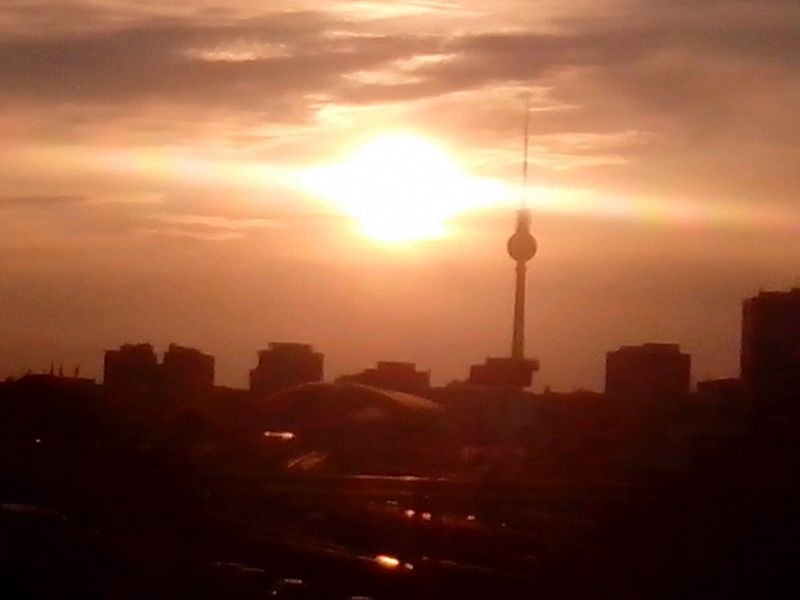 It is the first building I noticed- the tallest structure in Berlin. It is also central- and so easy to walk to many other monuments from here. 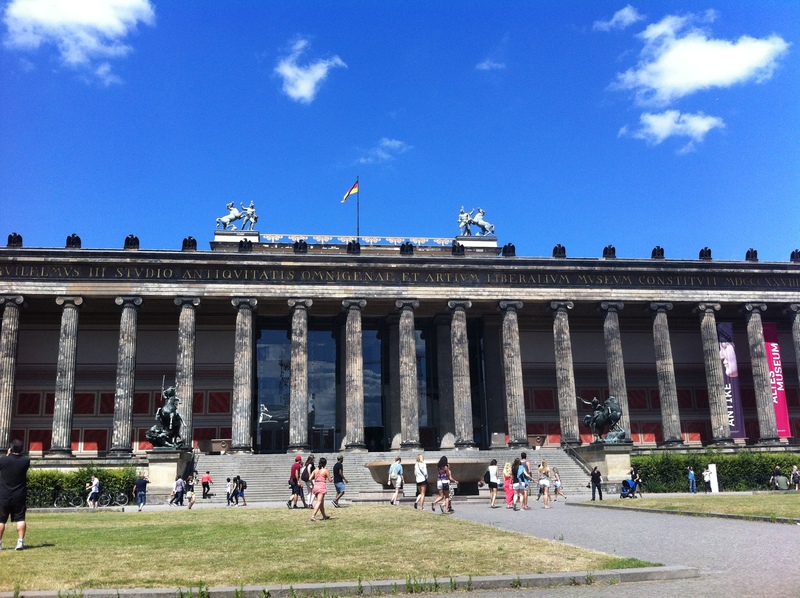 From Alexander-platz, we took a stroll down to Museumsinsel (Museum Island). And it is exactly what it says on the tin- a very small island full of museums. 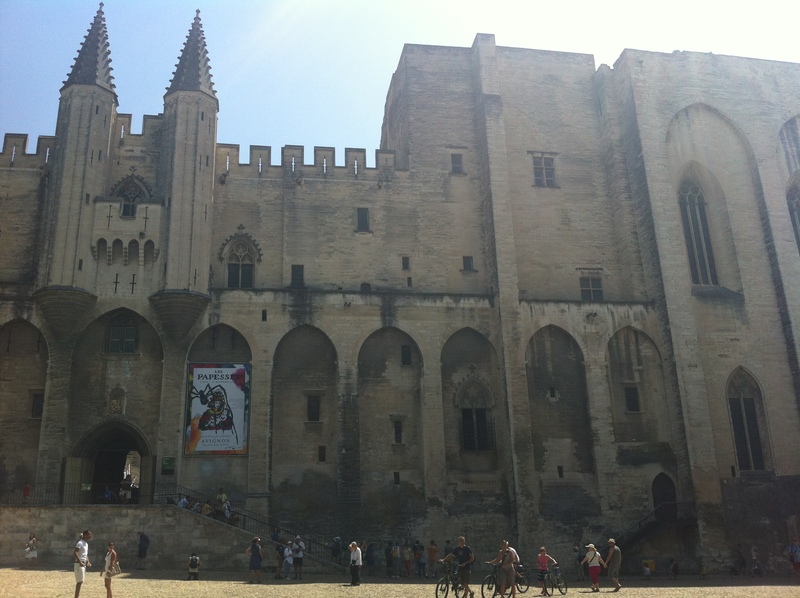 The buildings were all striking- very old but all very grand. However one thing that I was very quick to notice- the buildings all seemed dirty and unkept. 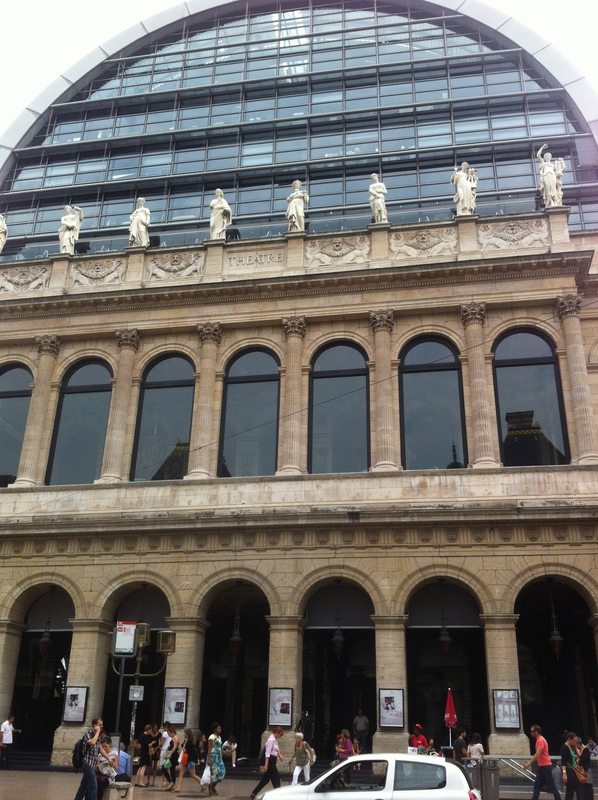 In Lyon, often buildings will have scaffolding up for a few weeks during the year to clean the front and make the building look very clean, so perhaps this is why these buildings appeared run-down to me. Next, we headed to the Tiergarten area: Berlin’s biggest park, situated right in the centre of the city. 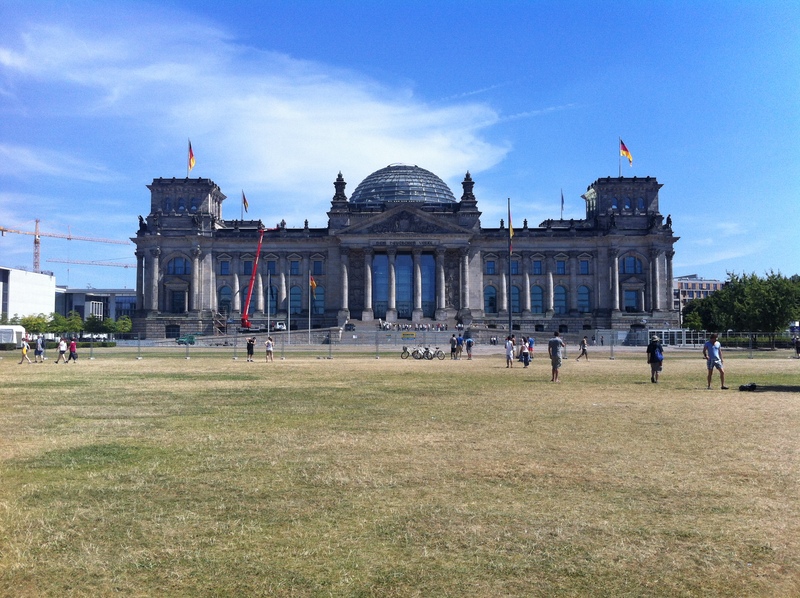 The Bundestag is the German Parliament building, and it really is huge! 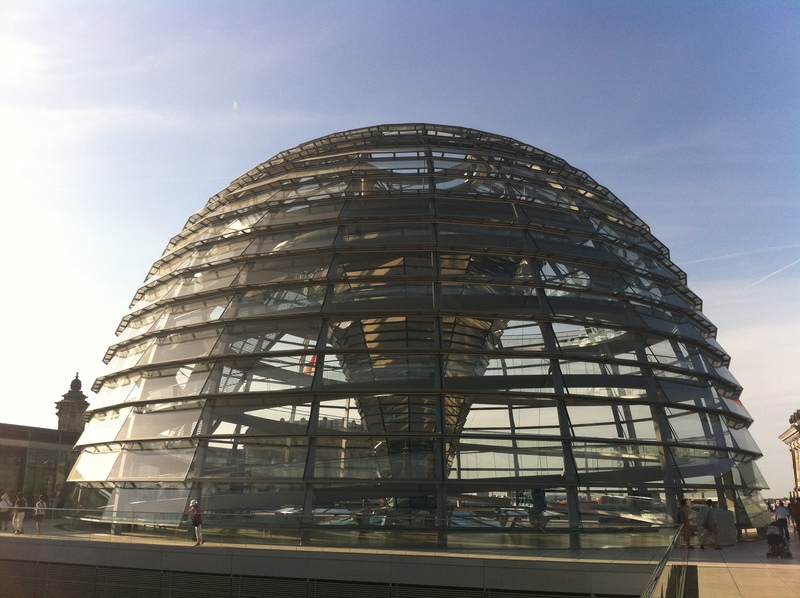 If you get the chance, book up early to go to the dome inside the Bundestag, it’s a great view! There are visits to see inside the actual parliament building itself, I was just unfortunate enough to be there in the only week that it was closed! A 2 minute walk from here was the world famous Brandenburg Gate, or, as someone kept insisting I say- Das Brandenburger Tor. 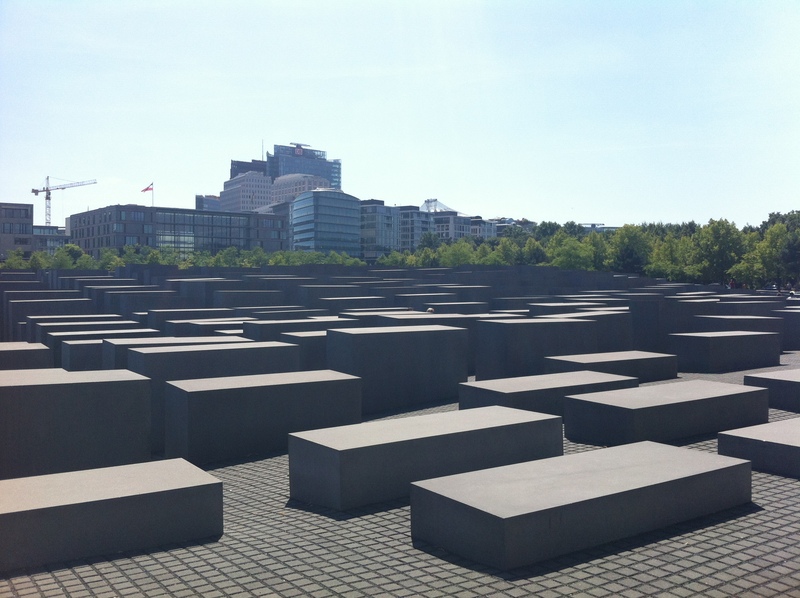 Next, something that my friends from Berlin told me that many people miss, or are simply oblivious to: A memorial to the murdered Jews of Europe. I guess in a way it is a very simple memorial, but so powerful and effective as well. I would describe it as a maze- and it would be very easy to get lost in here! You just don’t realise how high the monuments rise, or how low the ground goes. Continuing down this road took us exactly along where the Berlin wall had been- separating East and West Berlin. We evntually reached Potsdamer Platz, which shows off how far Berlin has come since the communist era. The huge modern skyscrapers are a symbol of capitalism and modern Germany, as can be seen in the background of the photo above. Further into the centre of the Tiergarten Park are a couple more striking monuments. 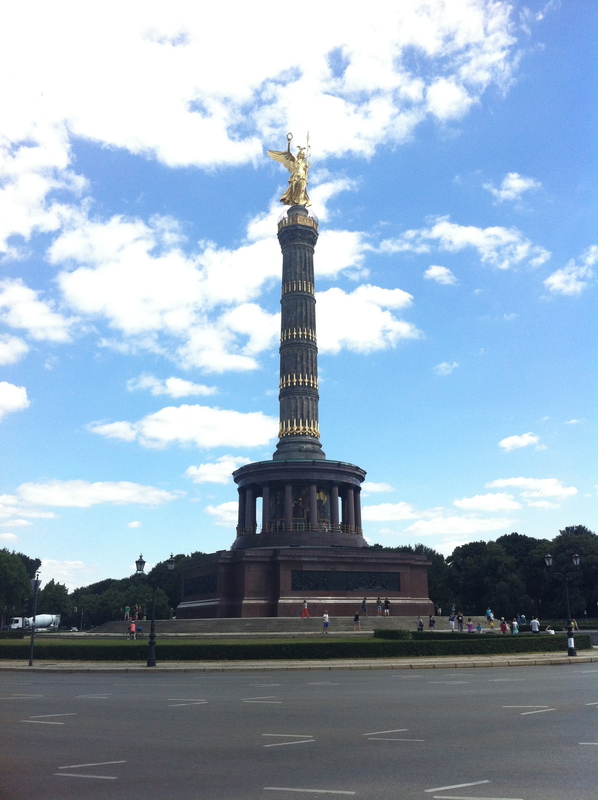 First of all is the Siegessäule (Victory Tower). Please note: Don’t be stupid and run across the very busy roundabout like we did- best to use the underpasses! 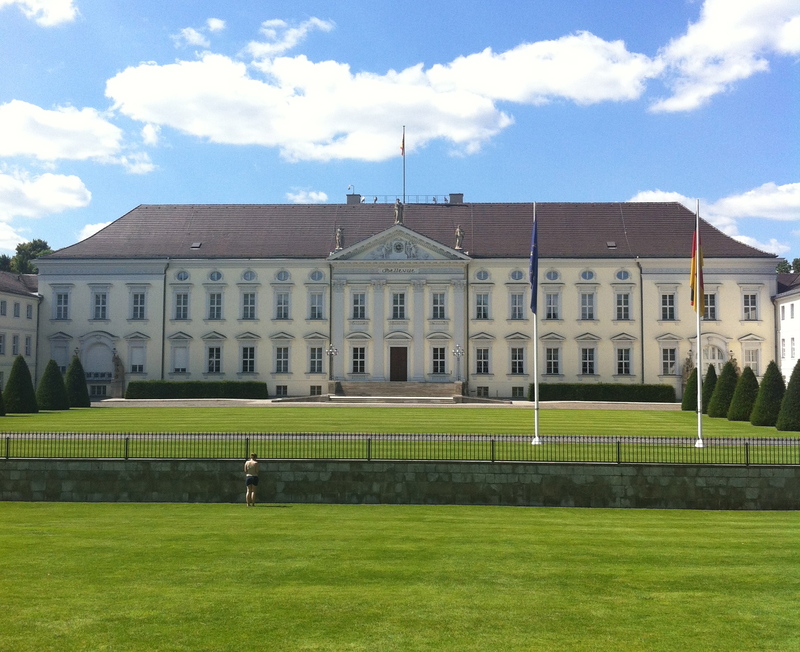 The Bundespräsidialamt (Office of the Federal President) is a short walk from here, and worth a look, it is a very beautiful building. The actual mansion is called Bellevue. So these were the main sites that I visited in 2 days in Berlin. 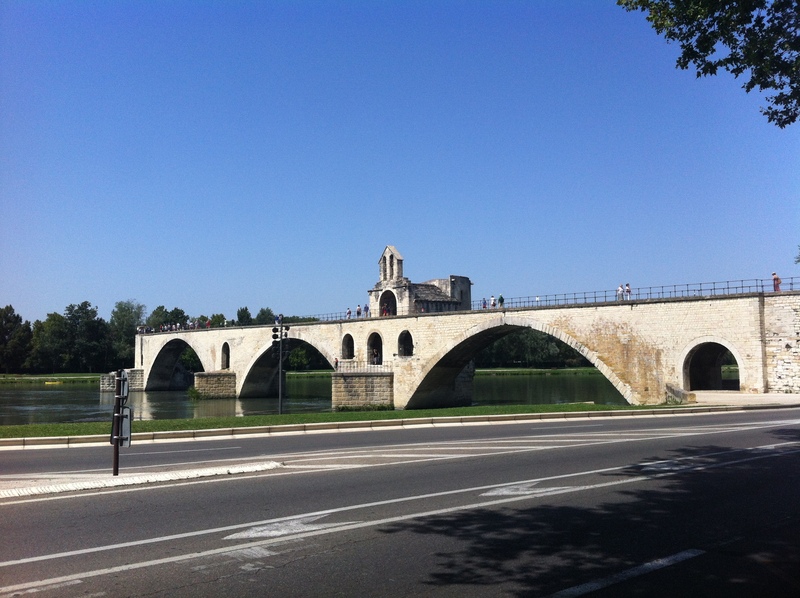 Whilst it felt rushed getting around the city, it was relaxing enough to appreciate each place I went to.